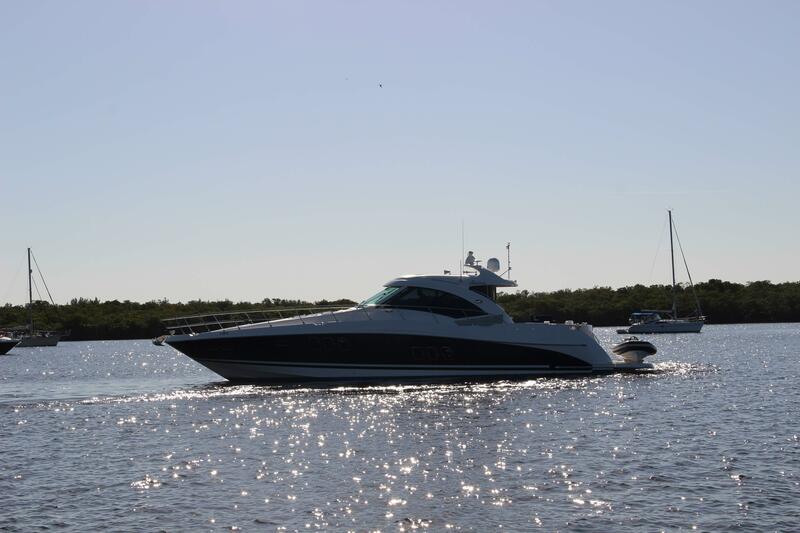 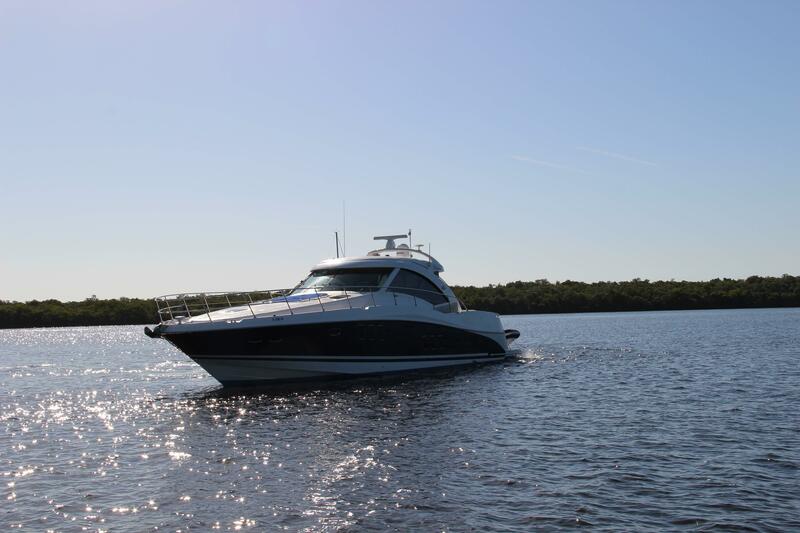 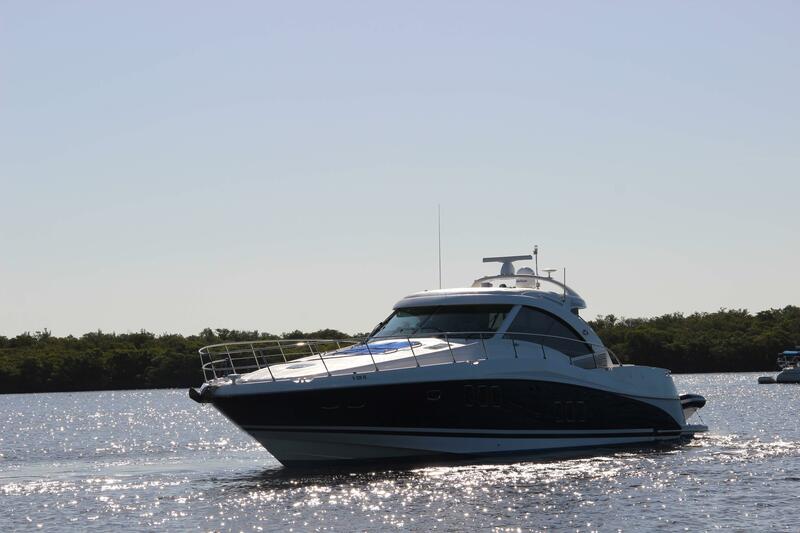 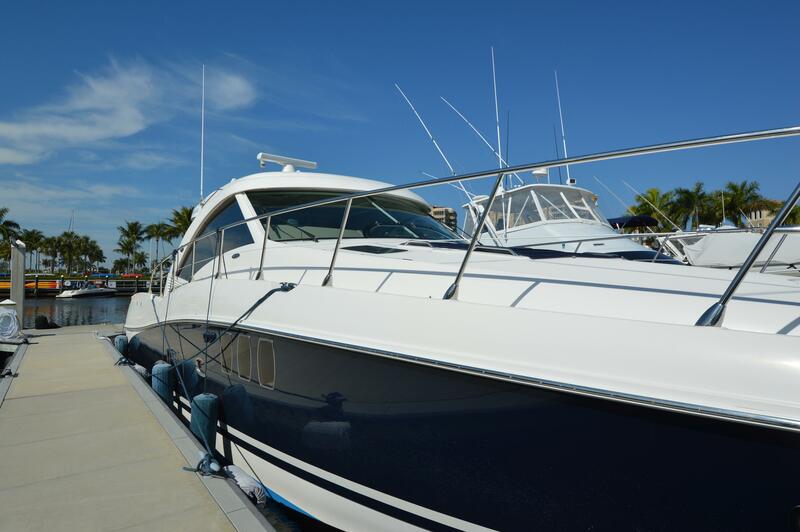 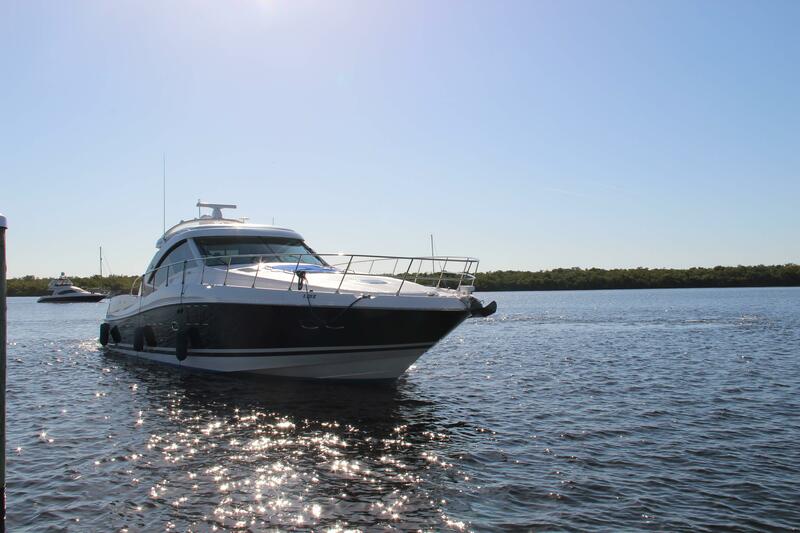 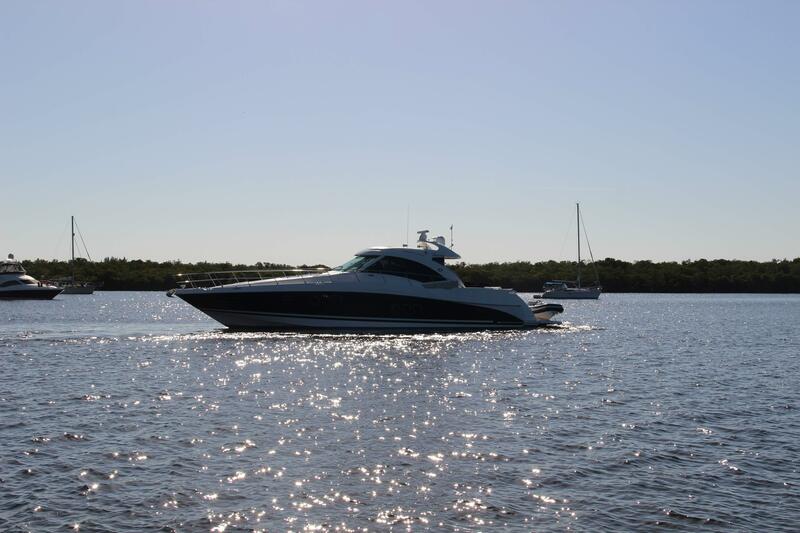 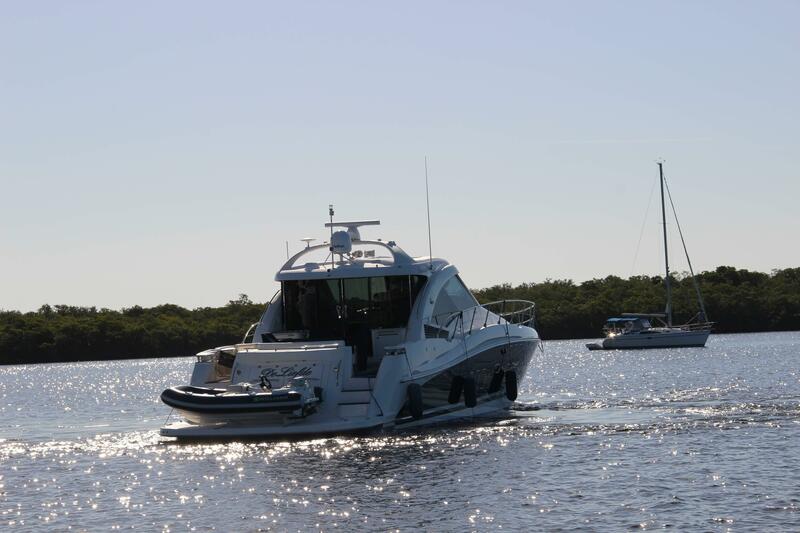 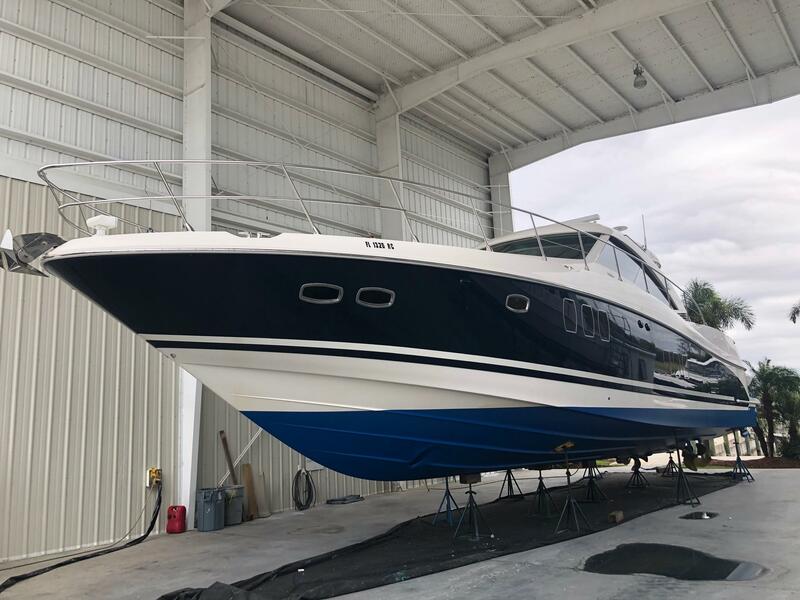 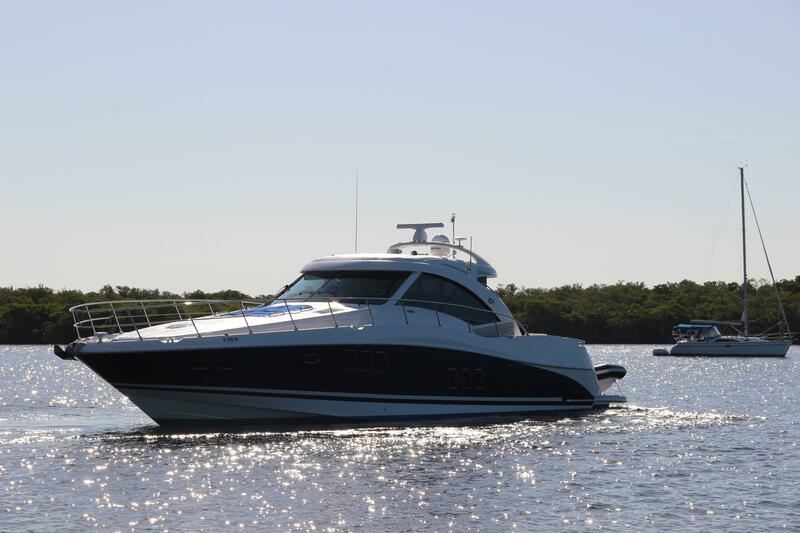 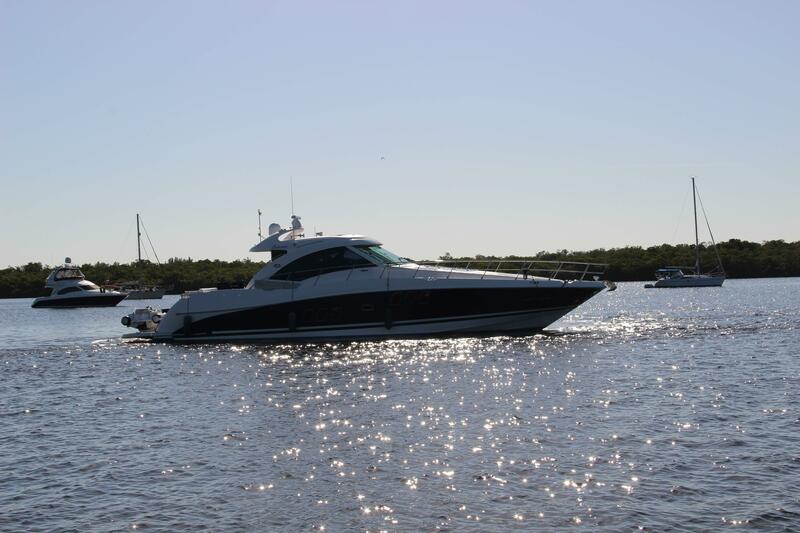 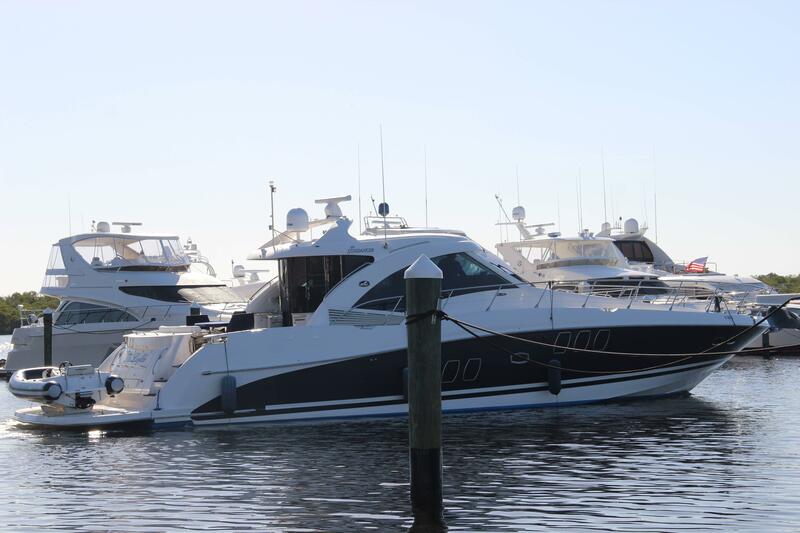 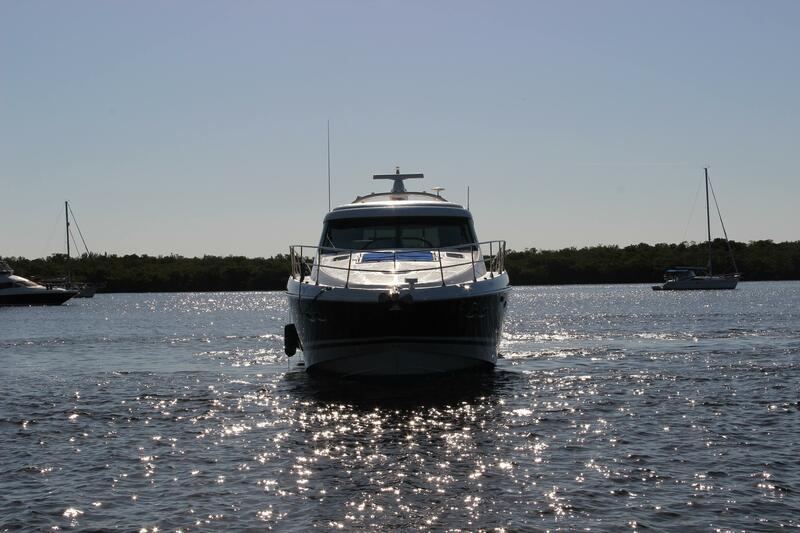 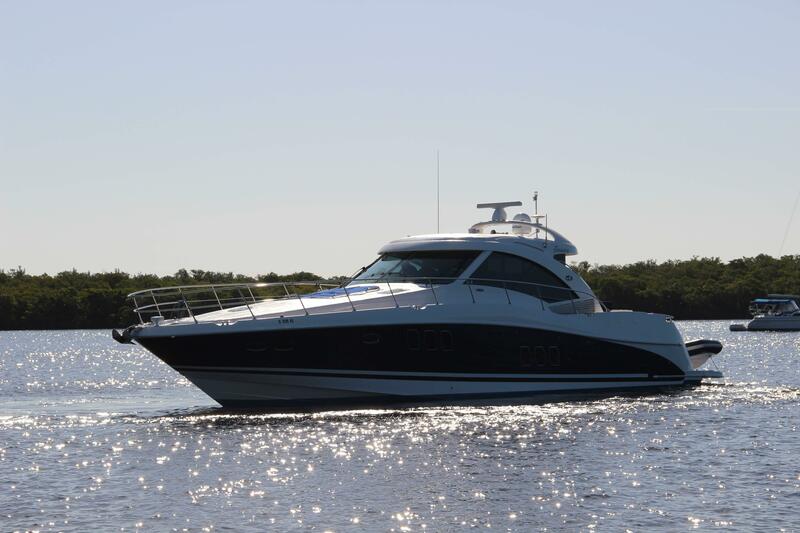 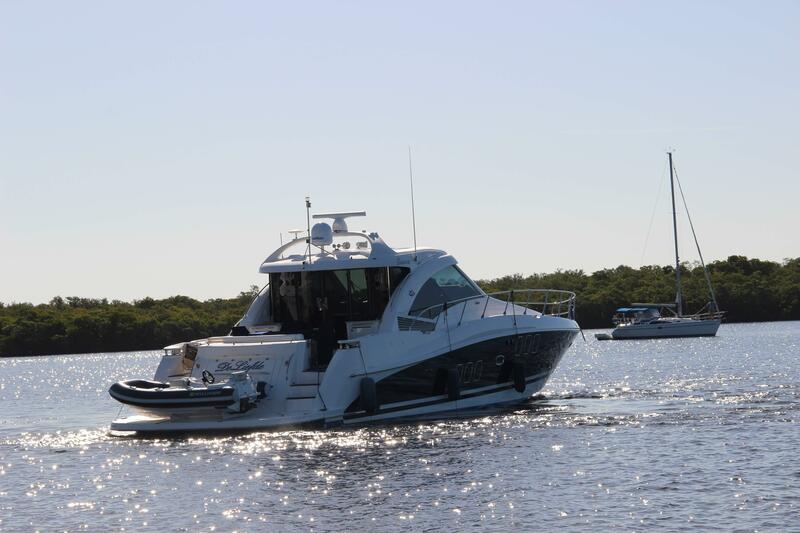 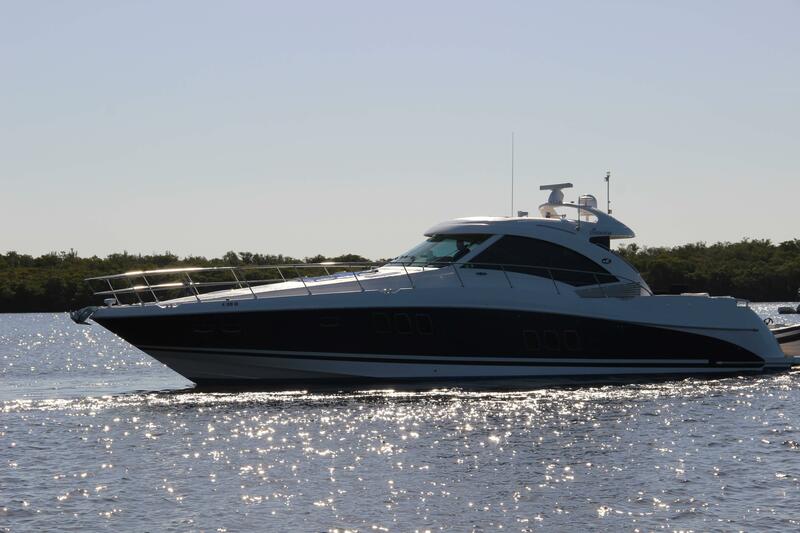 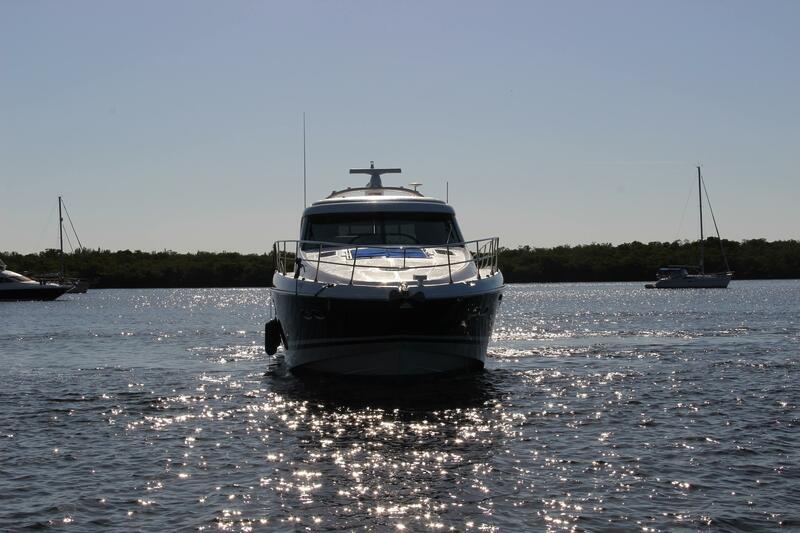 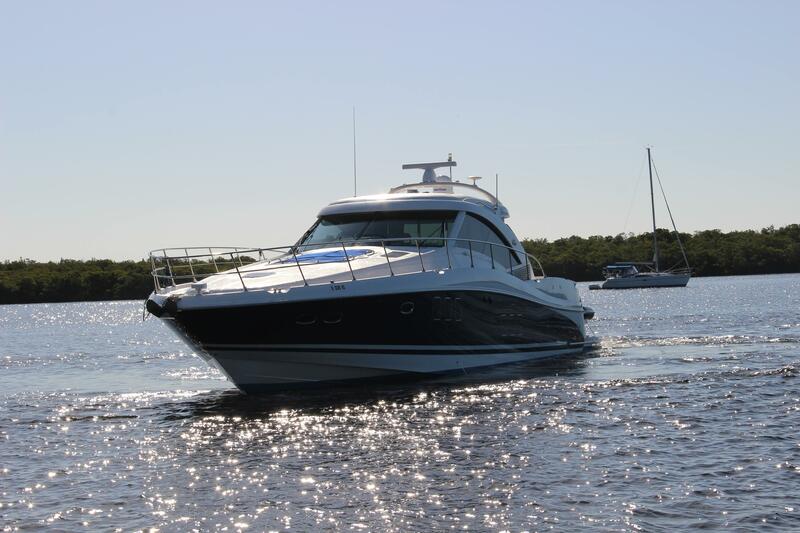 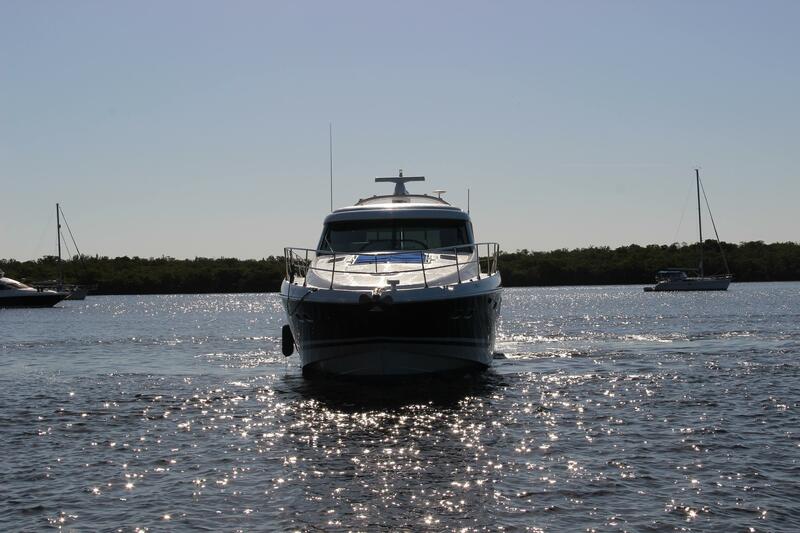 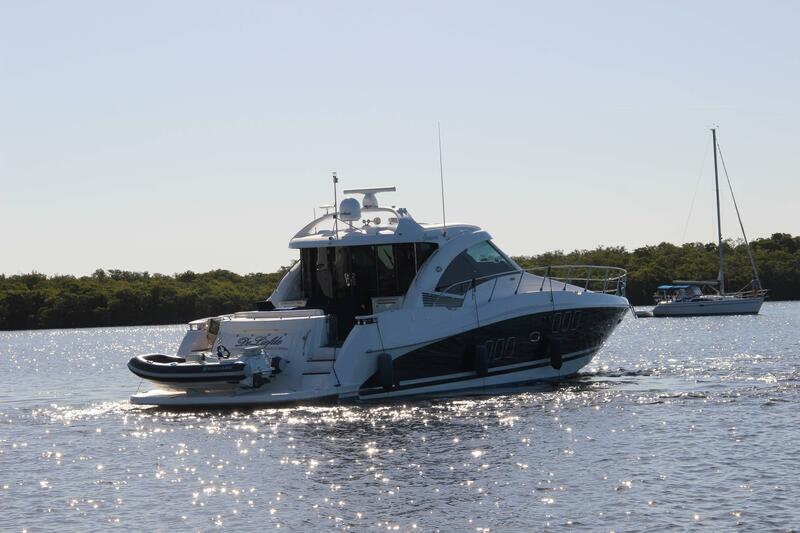 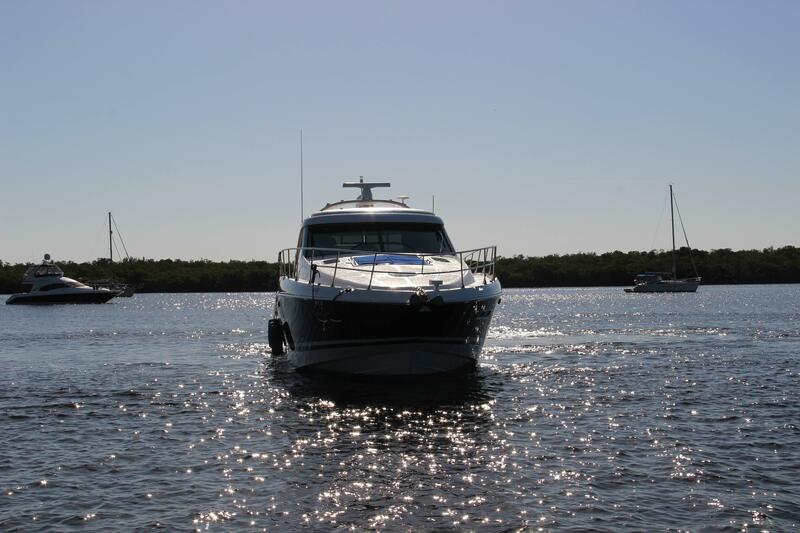 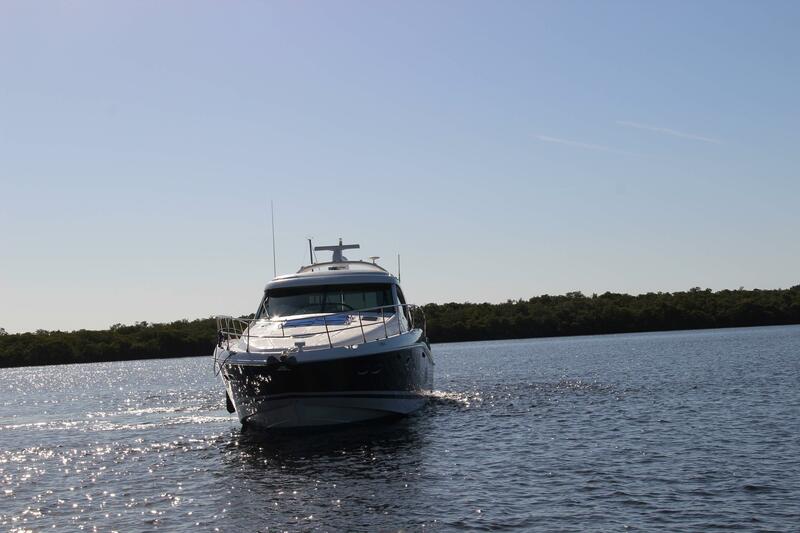 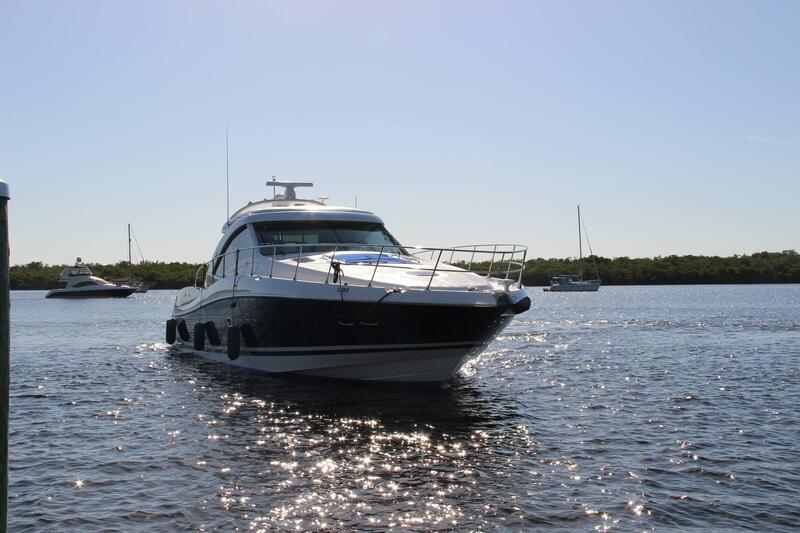 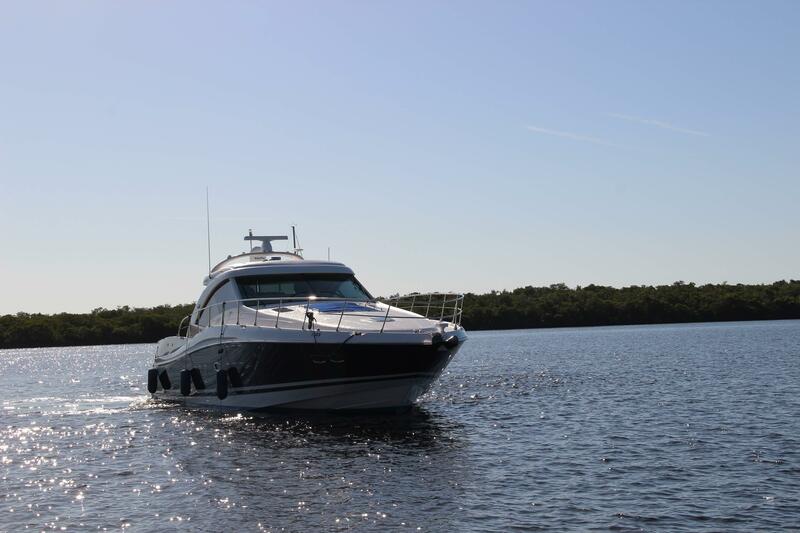 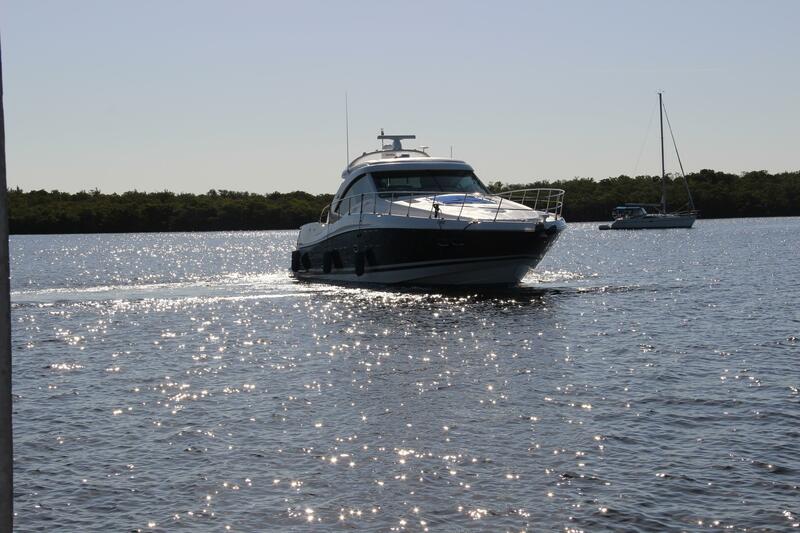 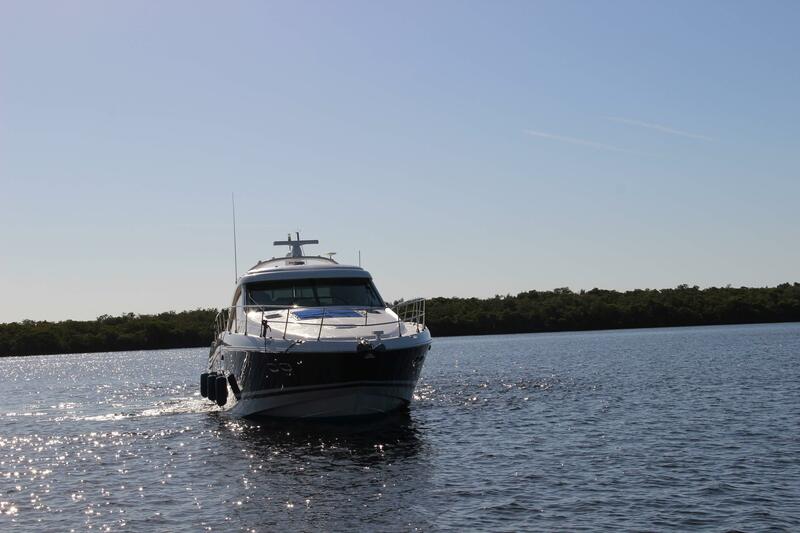 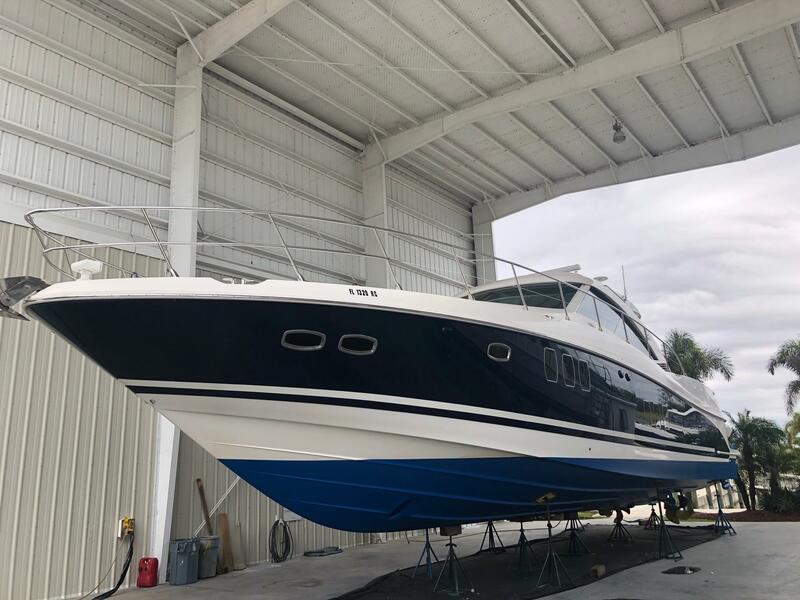 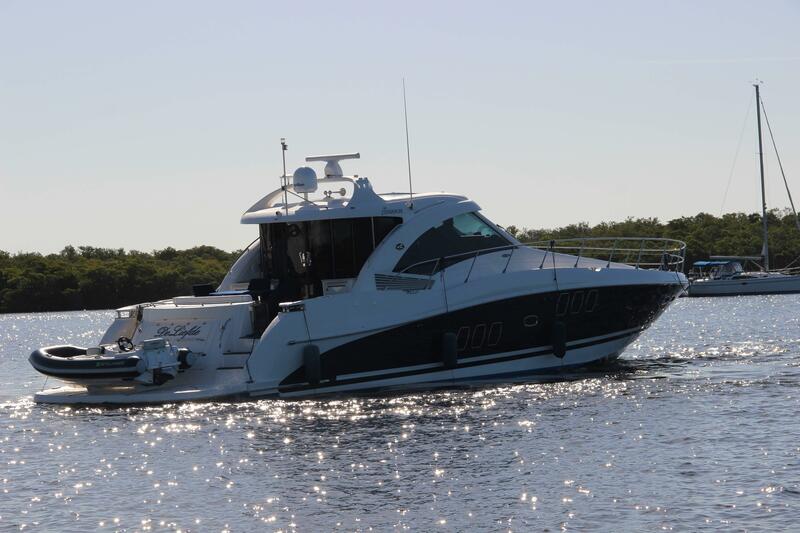 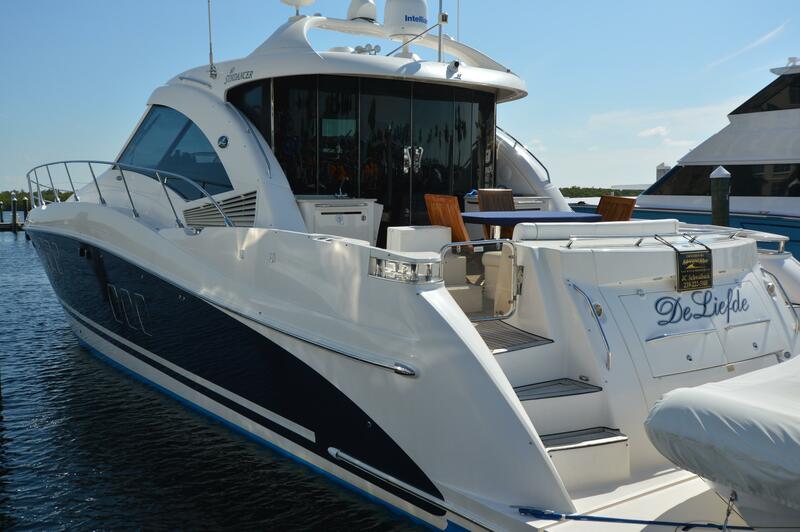 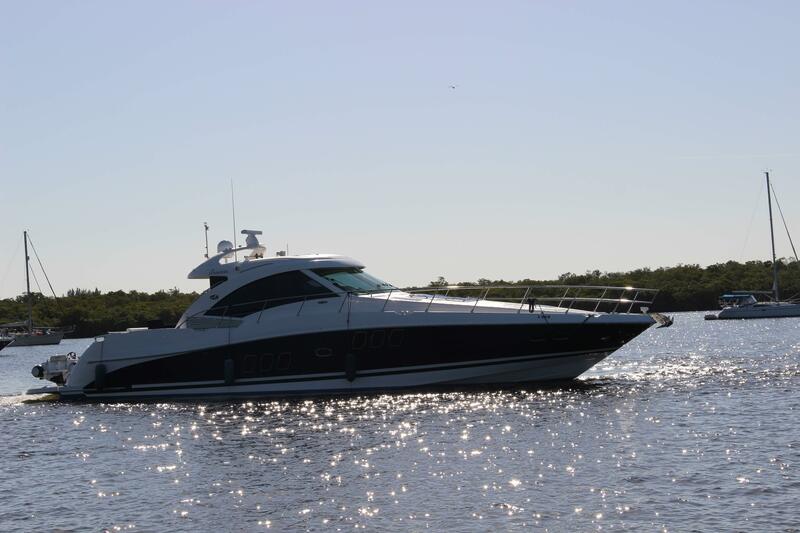 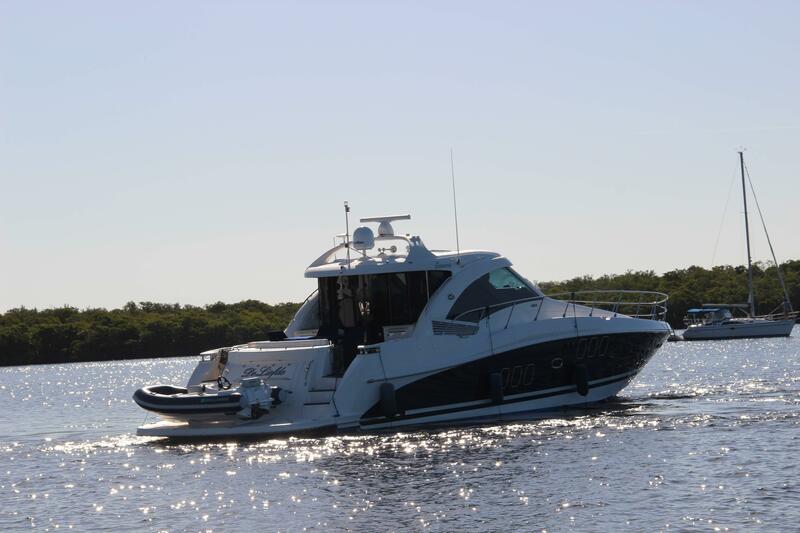 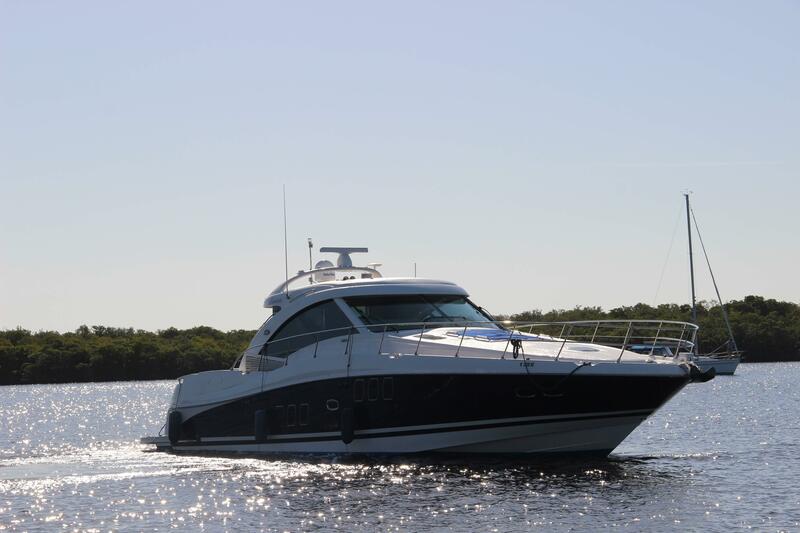 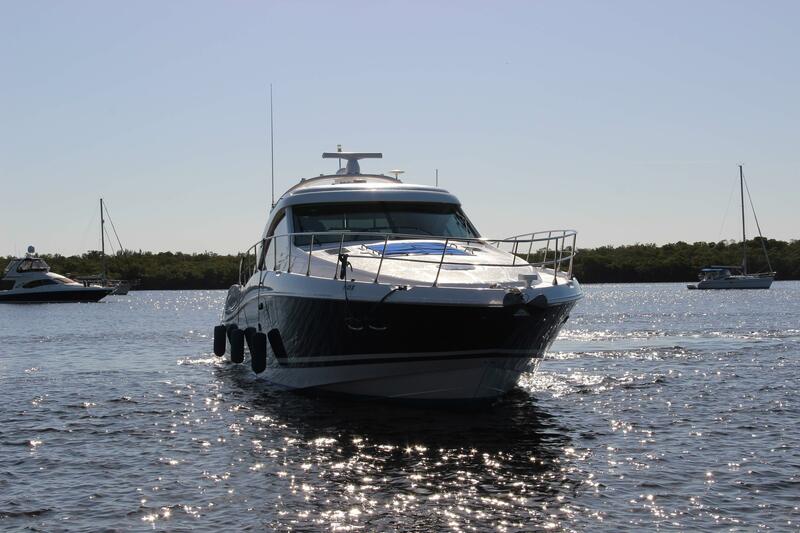 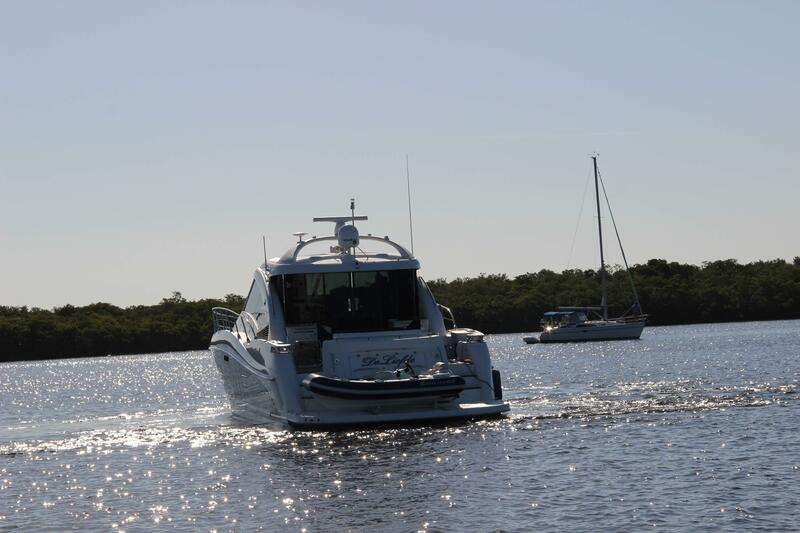 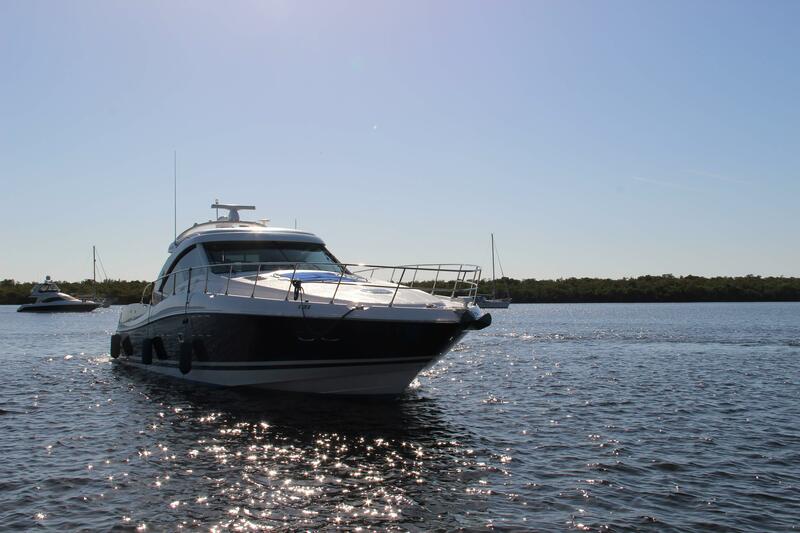 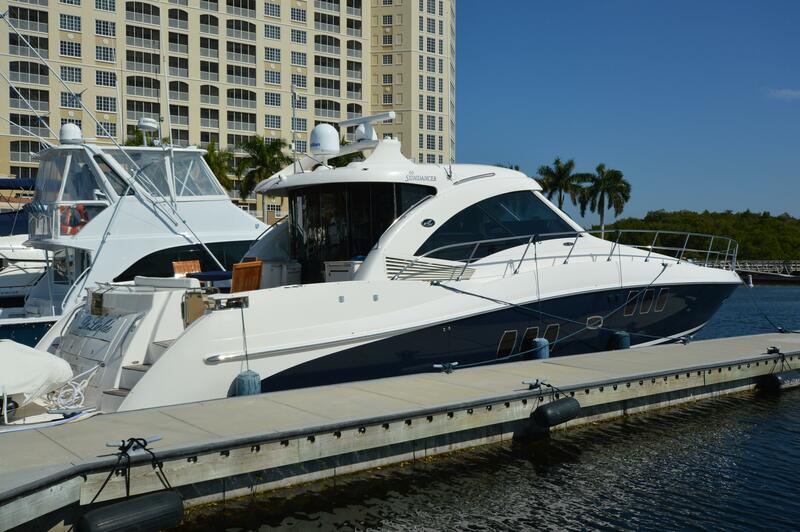 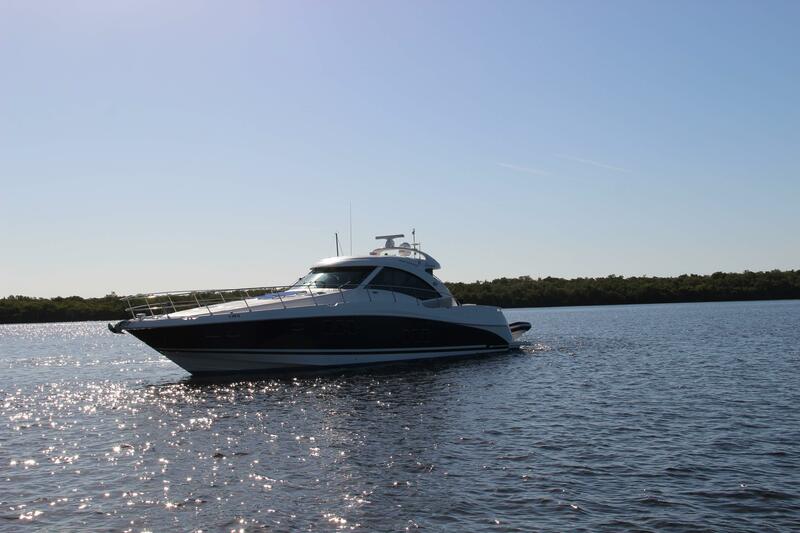 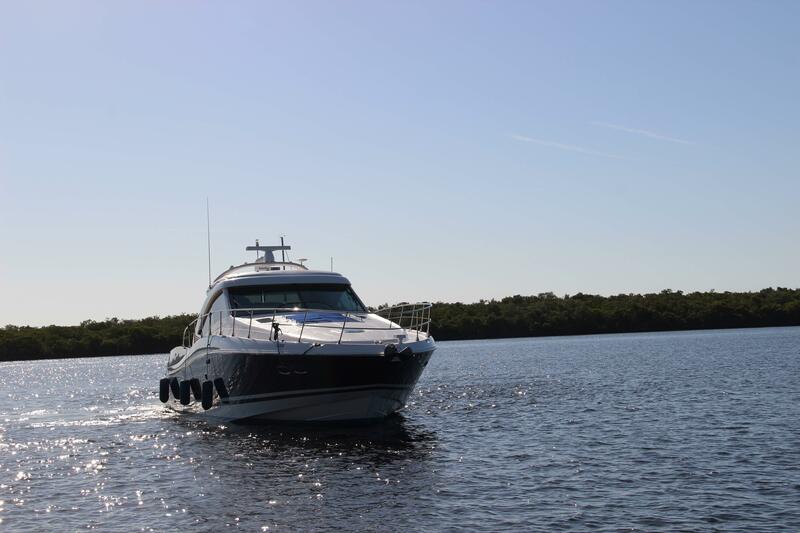 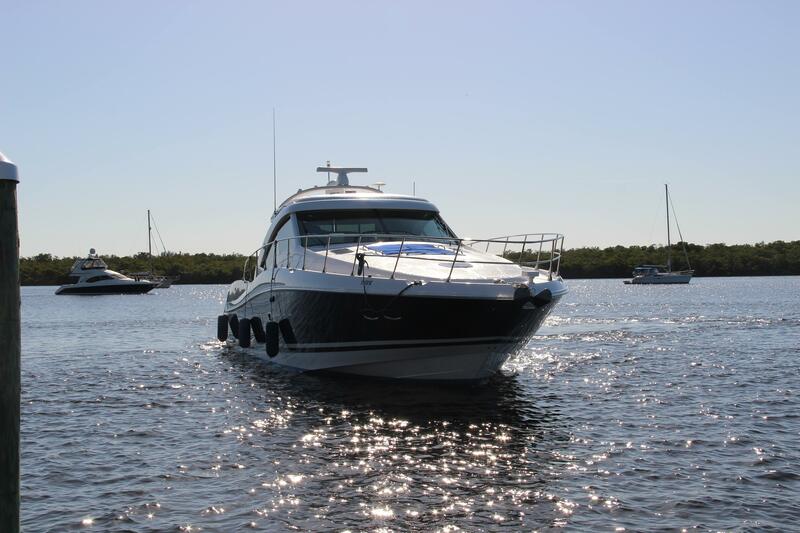 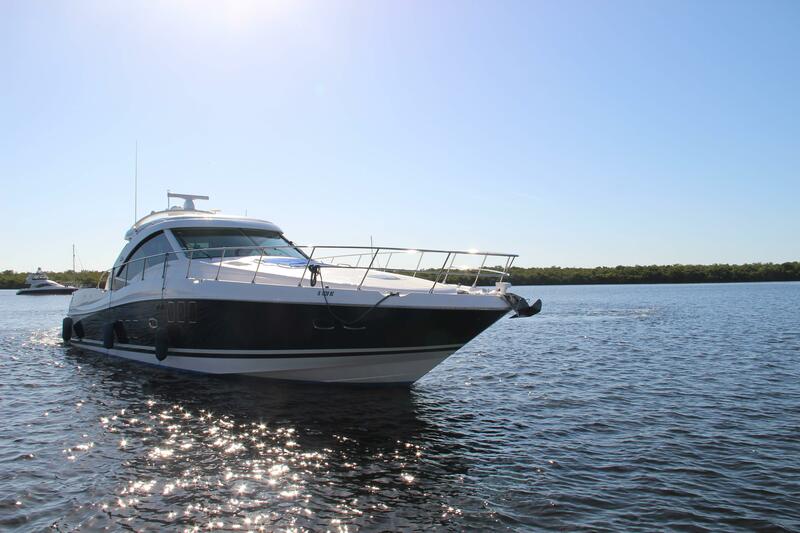 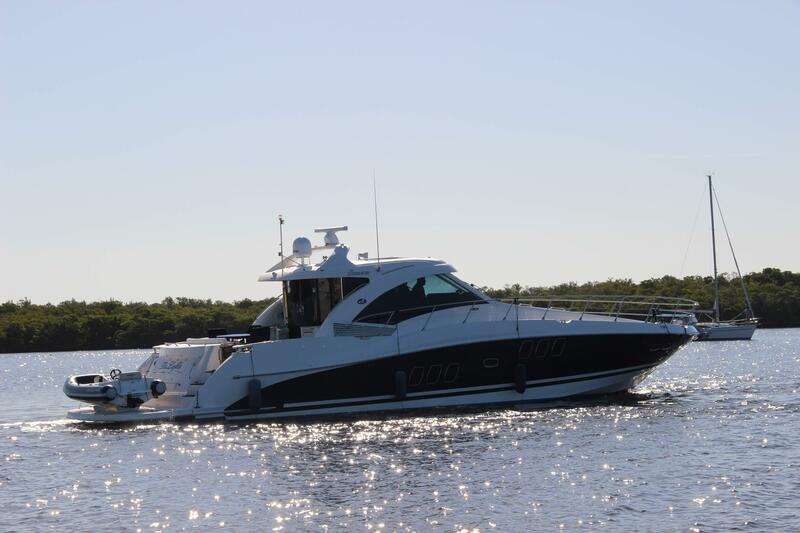 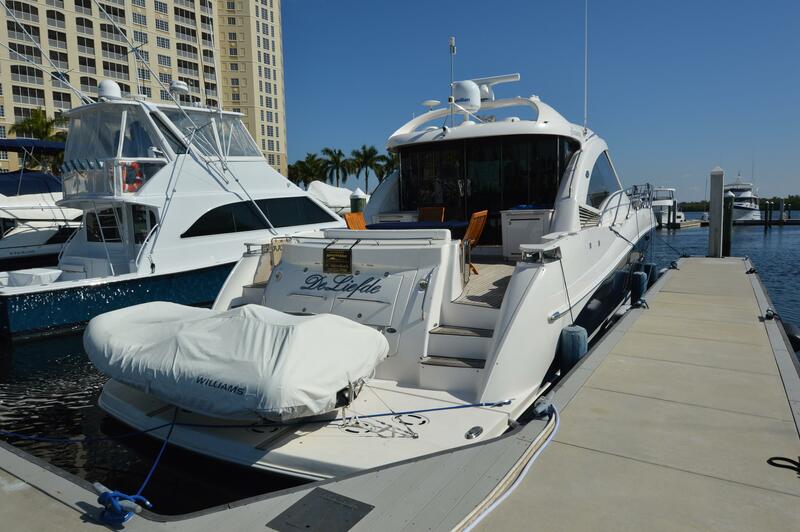 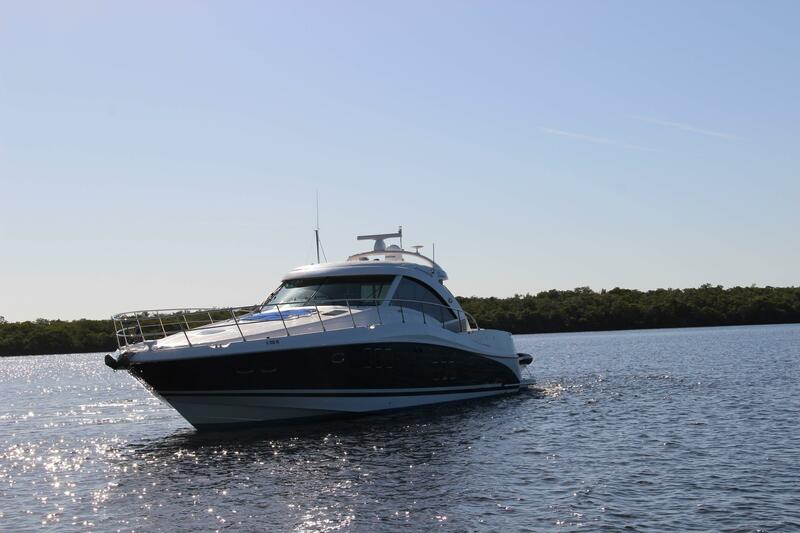 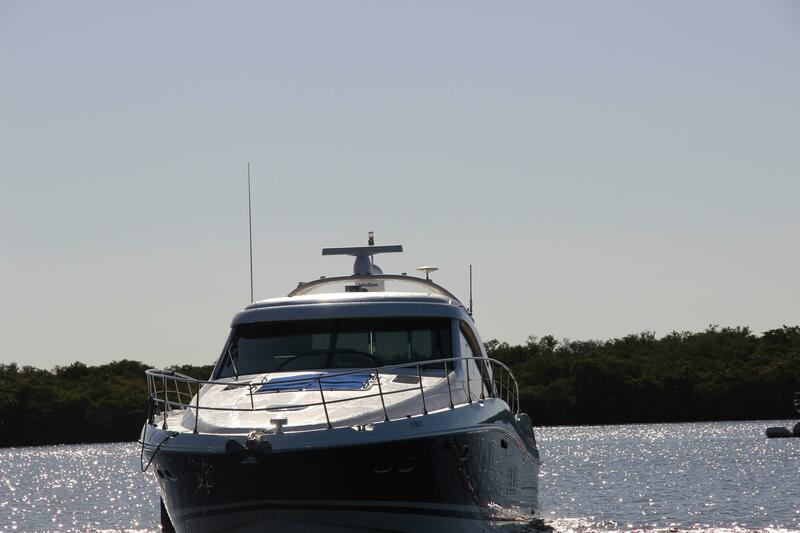 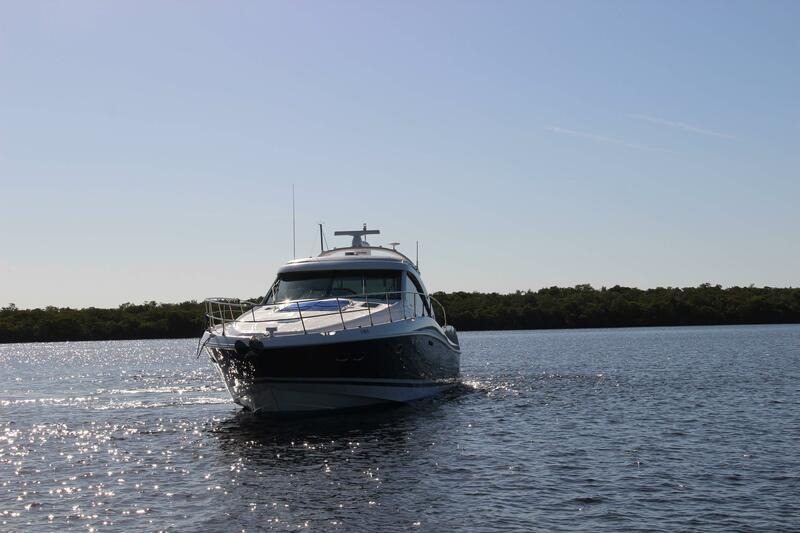 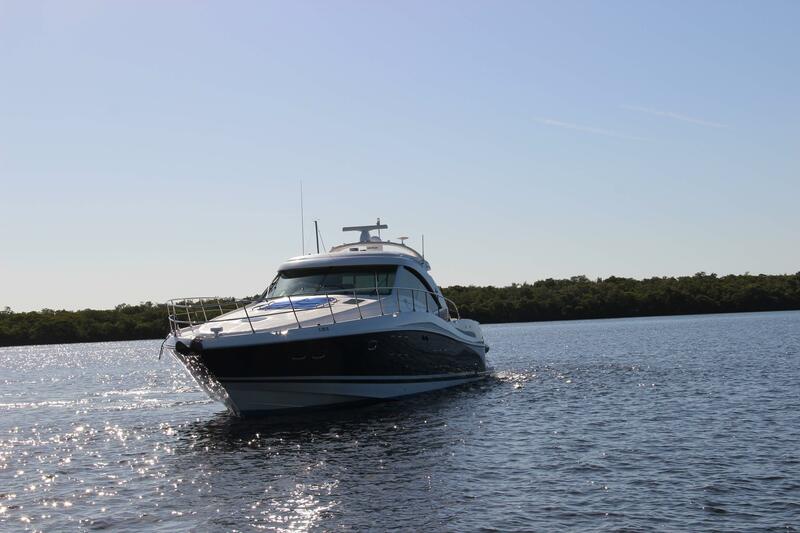 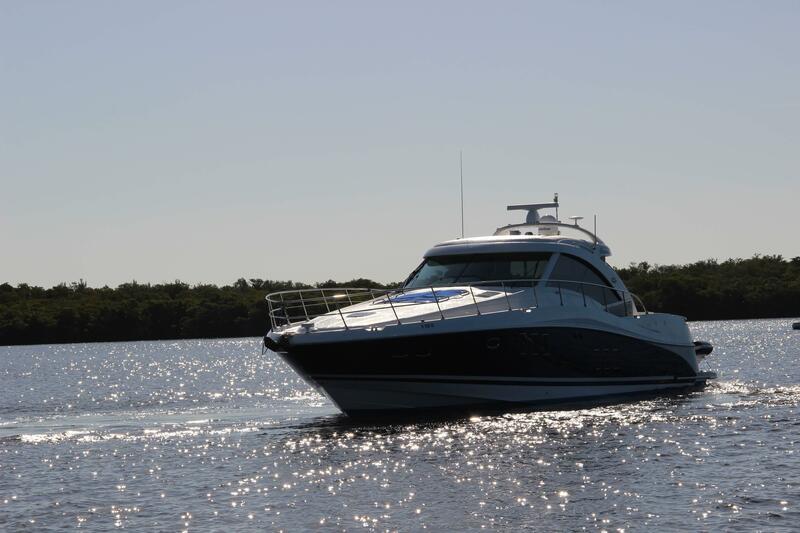 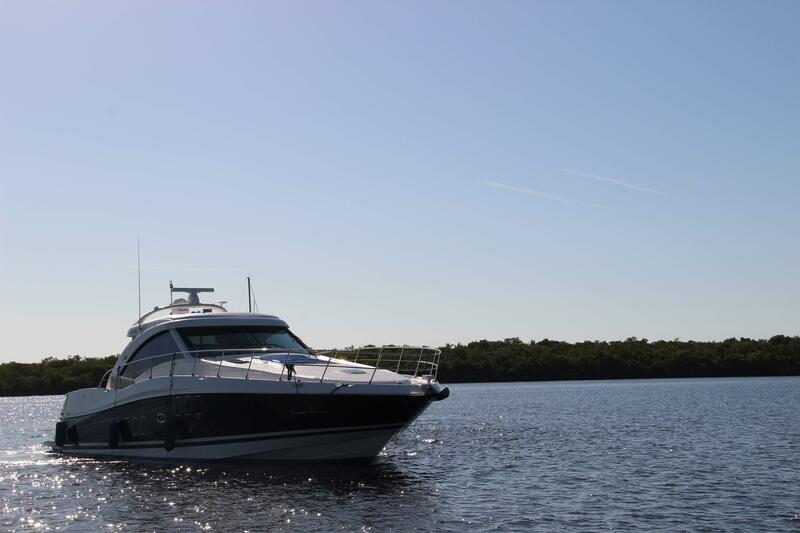 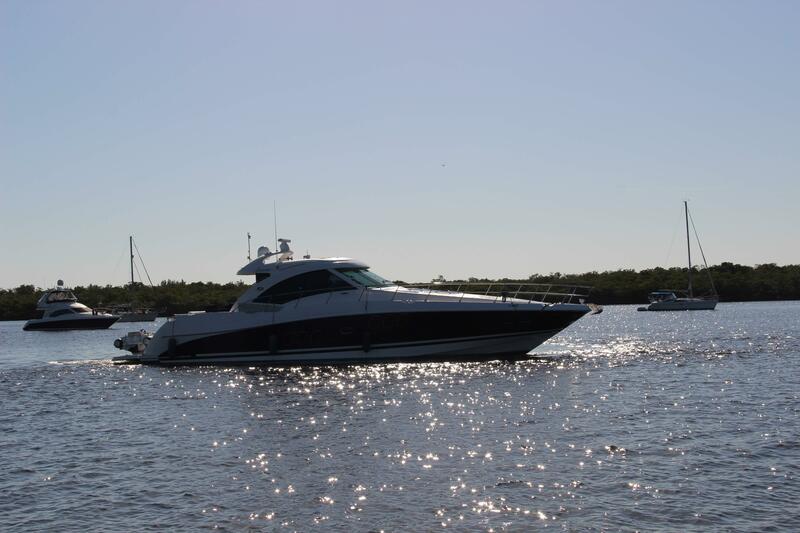 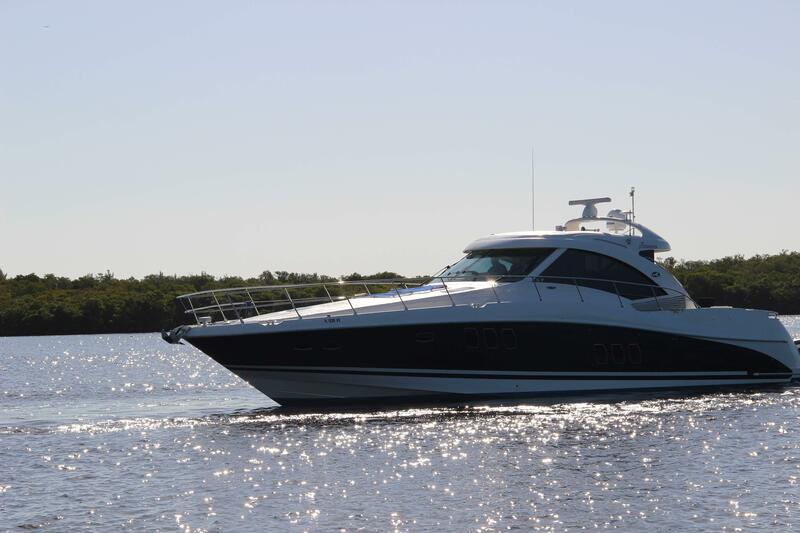 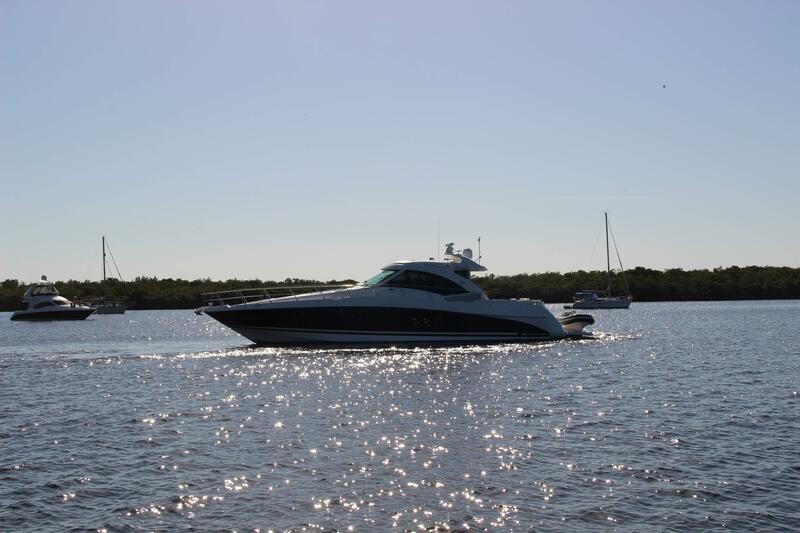 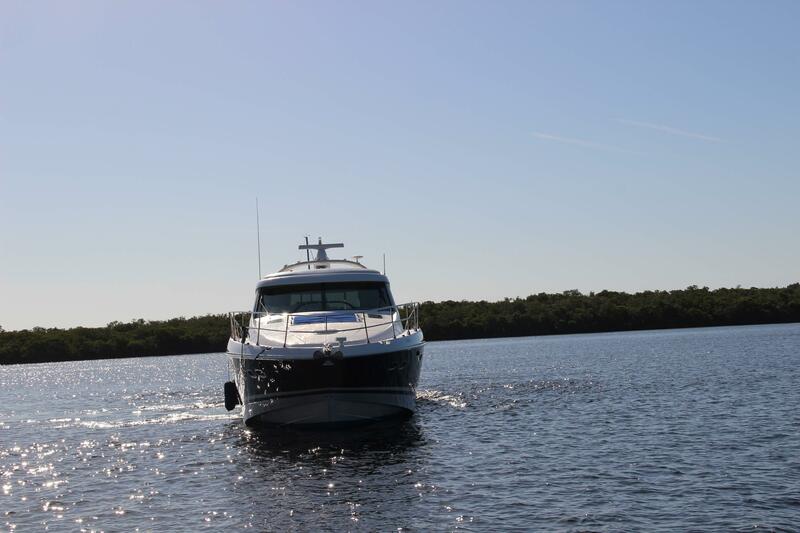 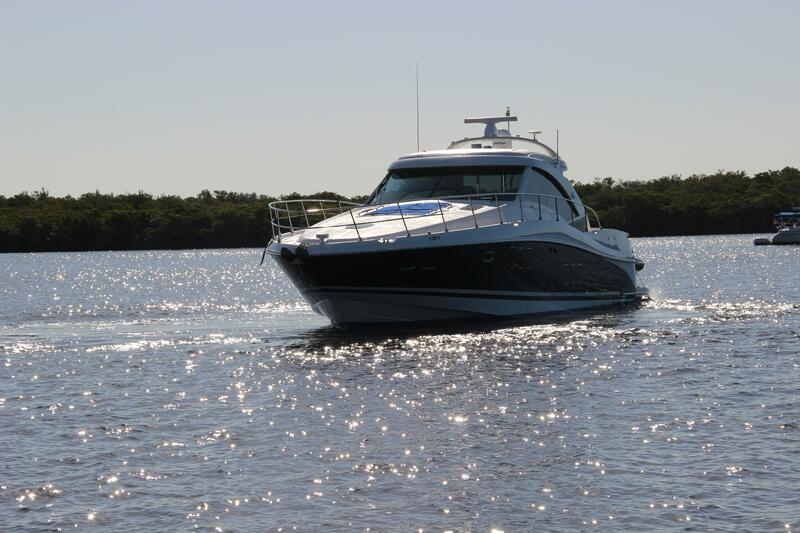 Sea Ray owns the U.S. market for big express yachts these days, and the 60 Sundancer (called the 610 Sundancer in 2010–12) is a great example of the Sea Ray magic. 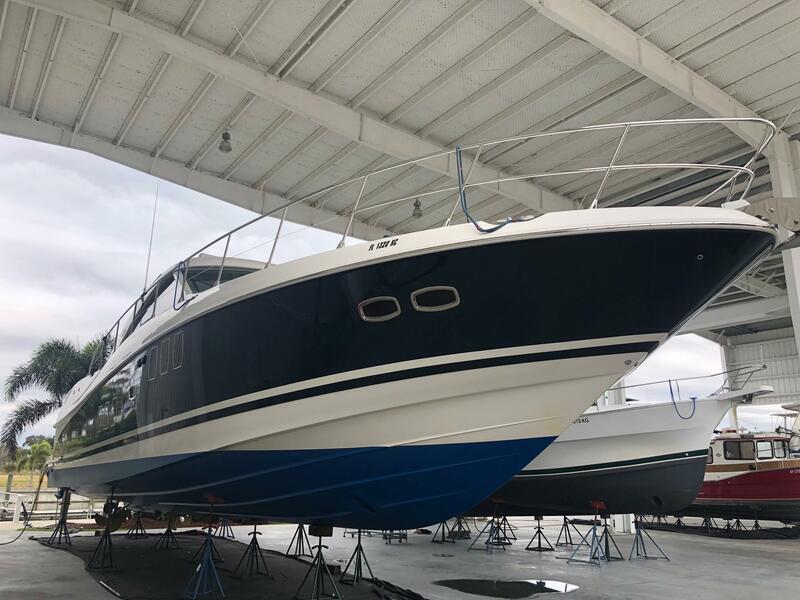 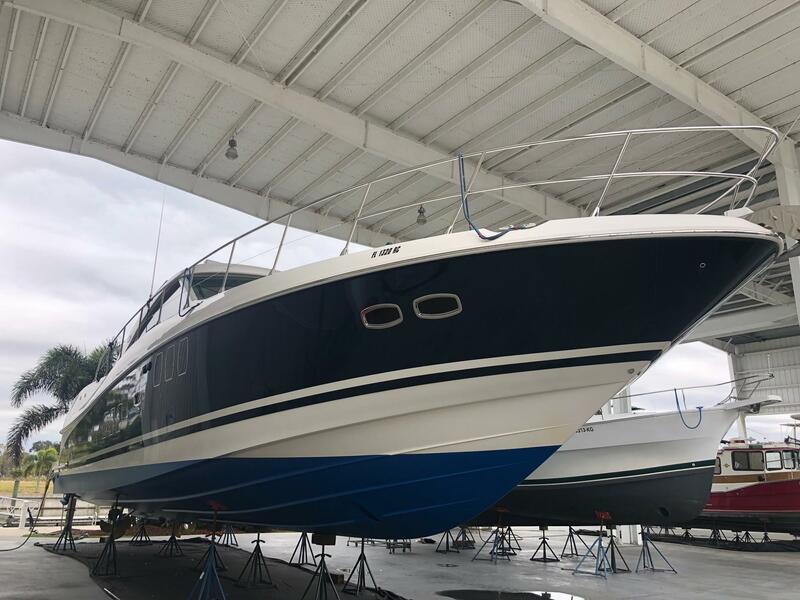 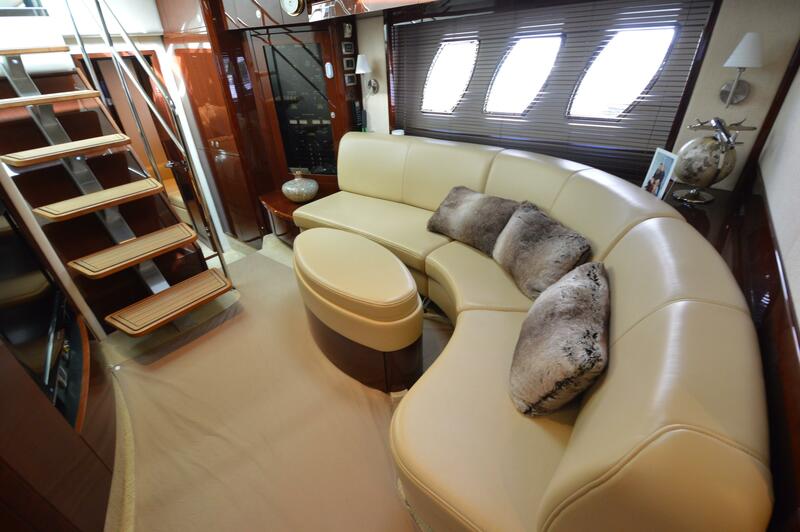 With her bold styling and lush accommodations, the 60 Sundancer was the best-selling yacht in her class for several years. 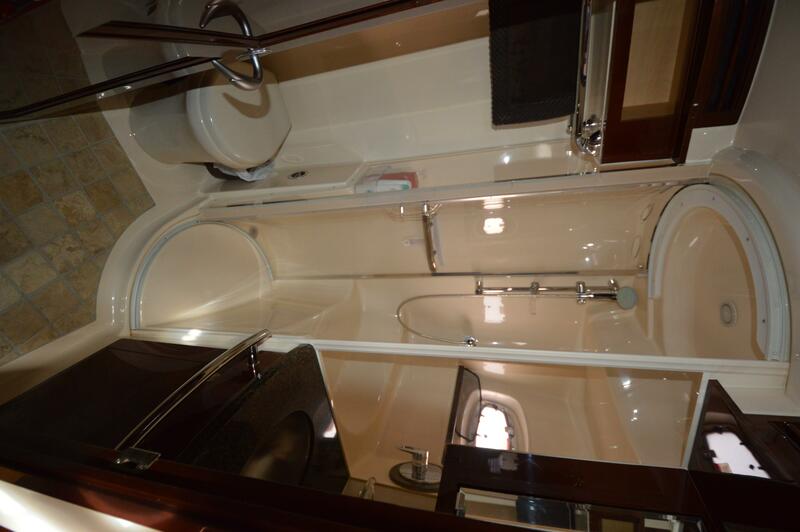 and panoramic views of the water. 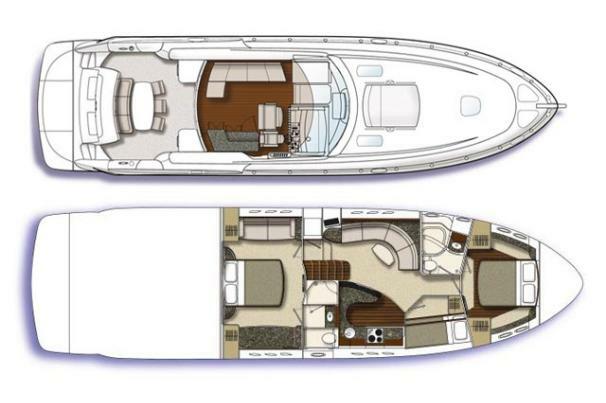 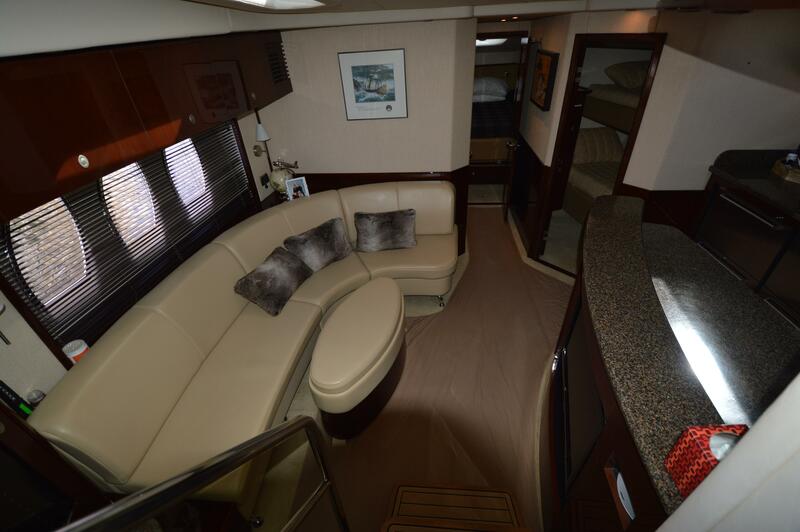 Below, the Sundancer’s lower salon—with nearly to 7 feet of headroom—features a curved settee with dining table to port and hardwood flooring throughout. 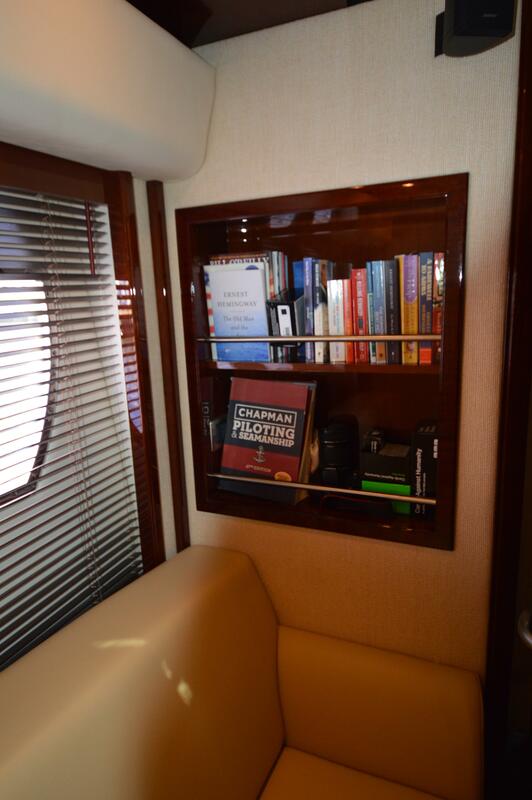 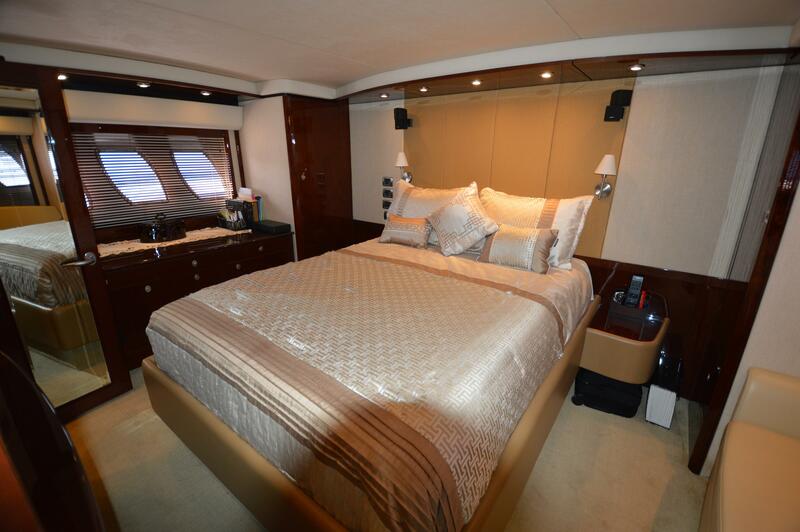 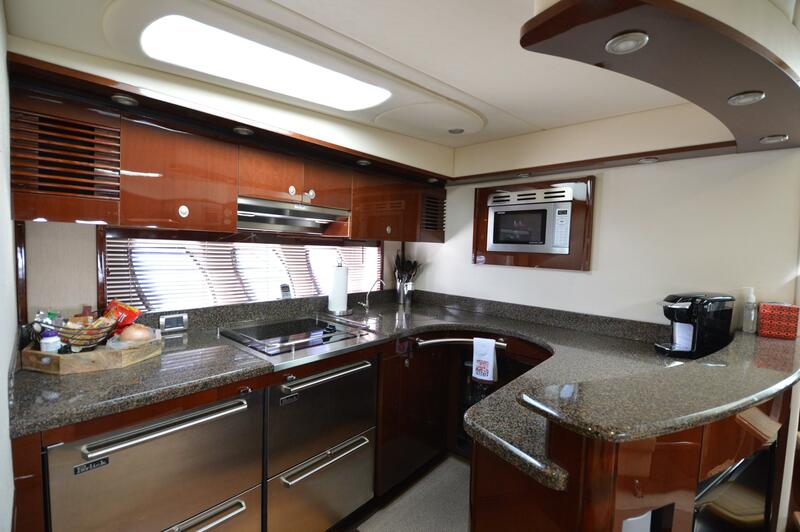 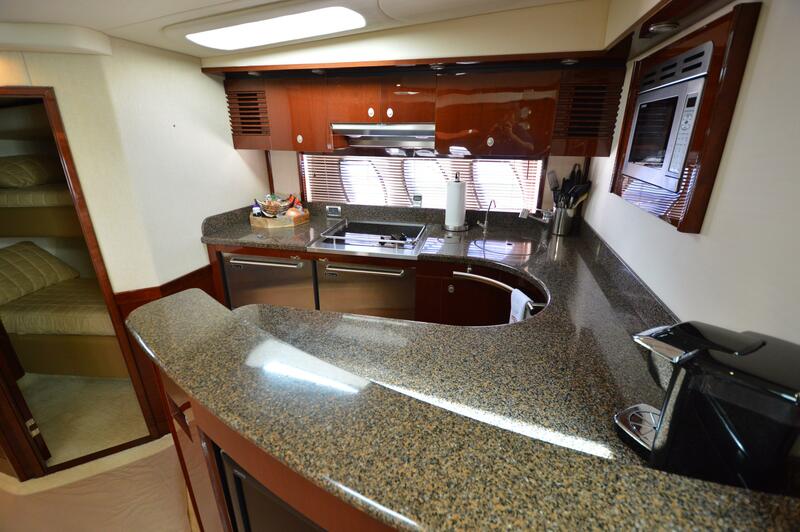 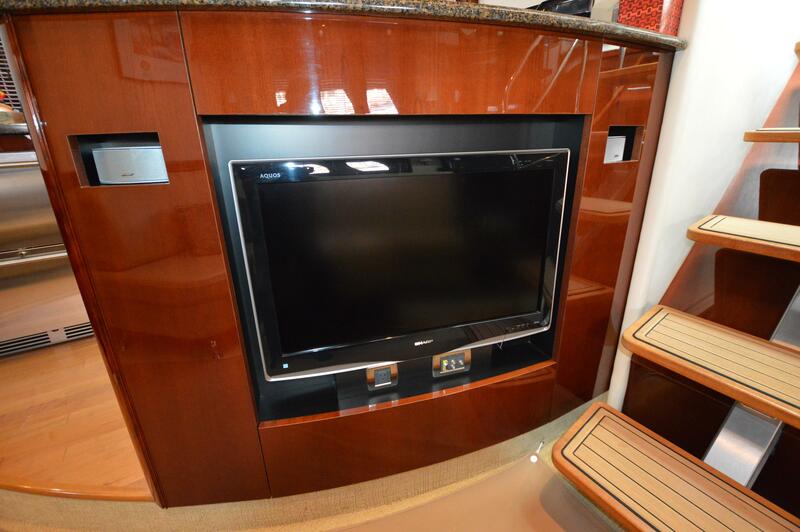 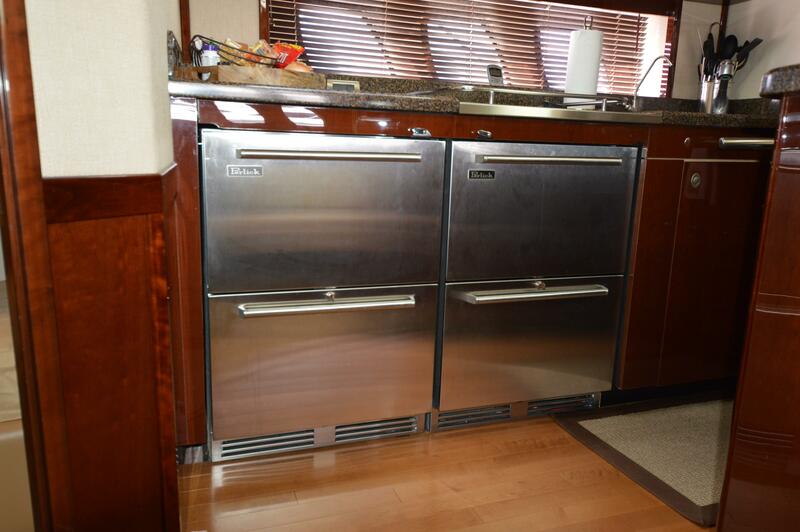 Across from the settee, the huge galley includes a serving country, high-gloss cherry cabinets, and granite counters. 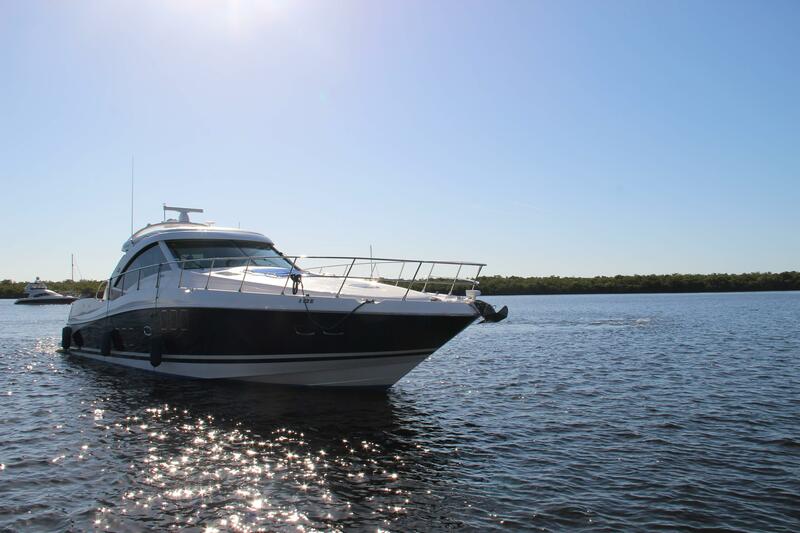 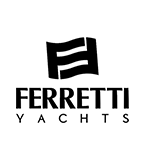 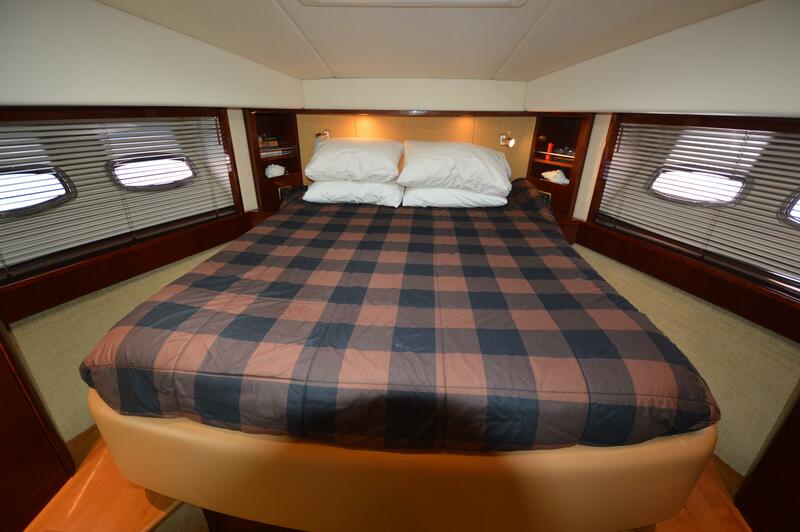 The master stateroom with settee, queen berth, and private head is amidships, and the VIP stateroom with island queen berth and private access to the day head is forward. 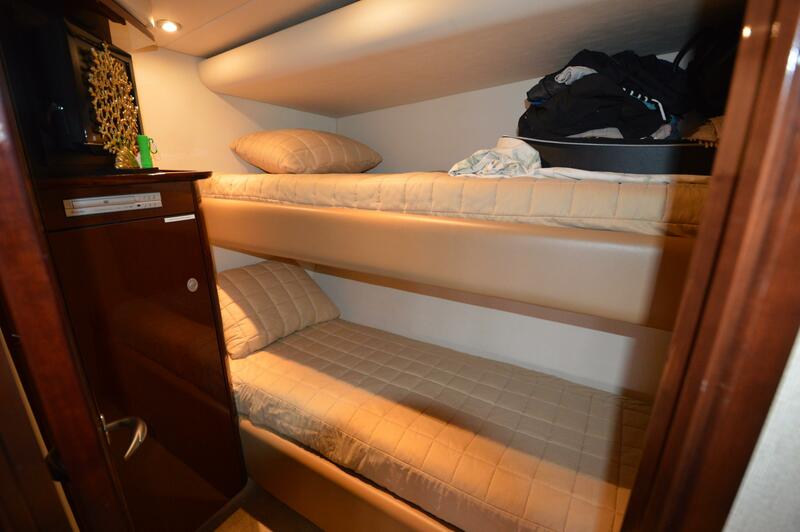 A smaller stateroom with over/under berths is forward of the galley. 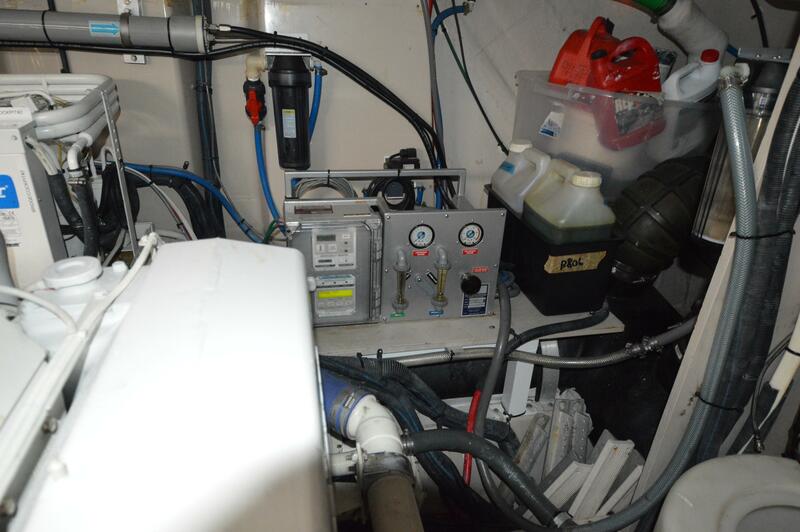 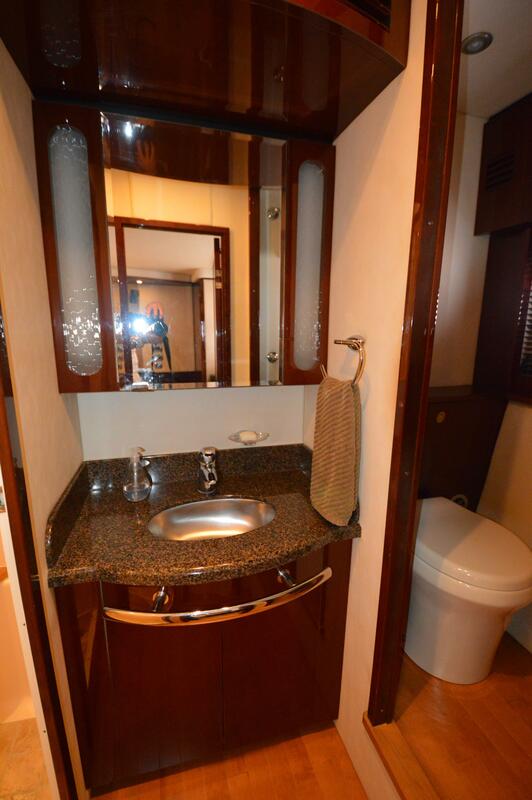 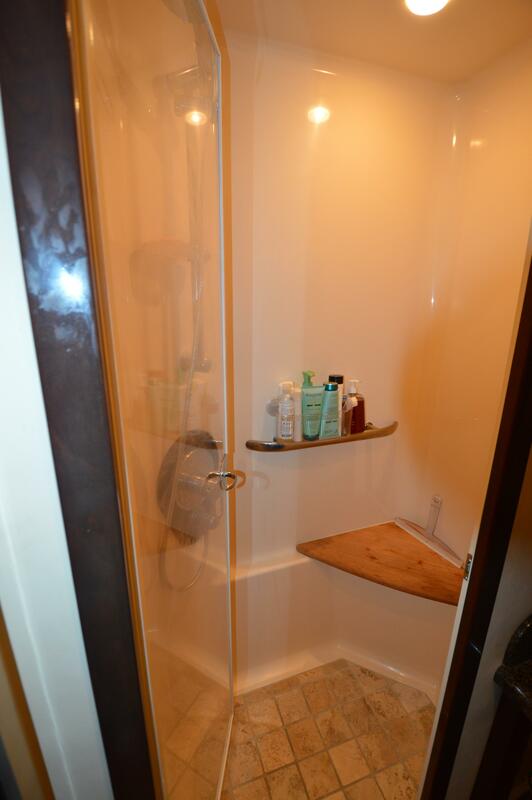 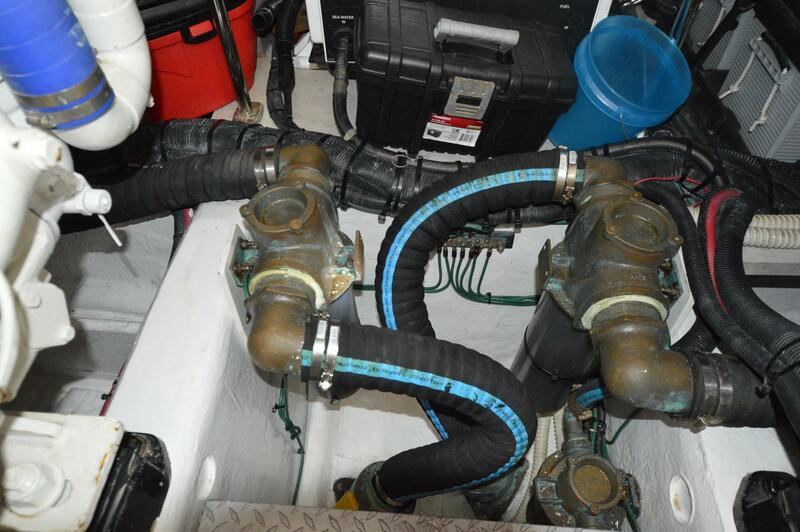 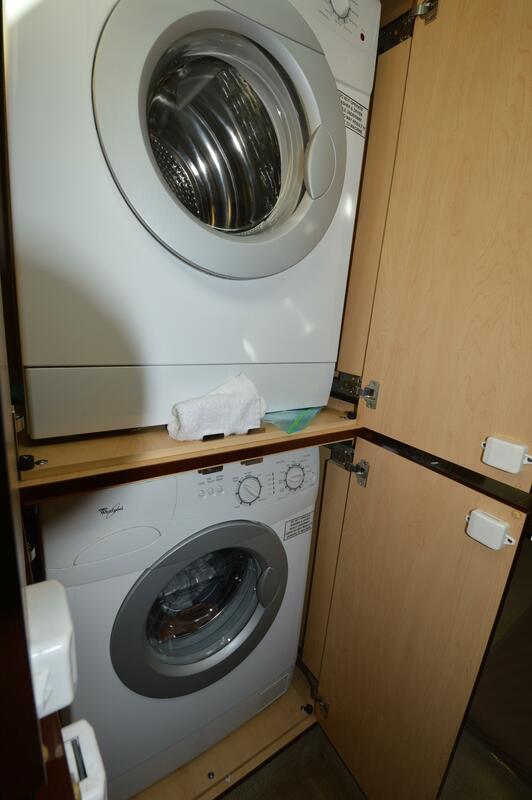 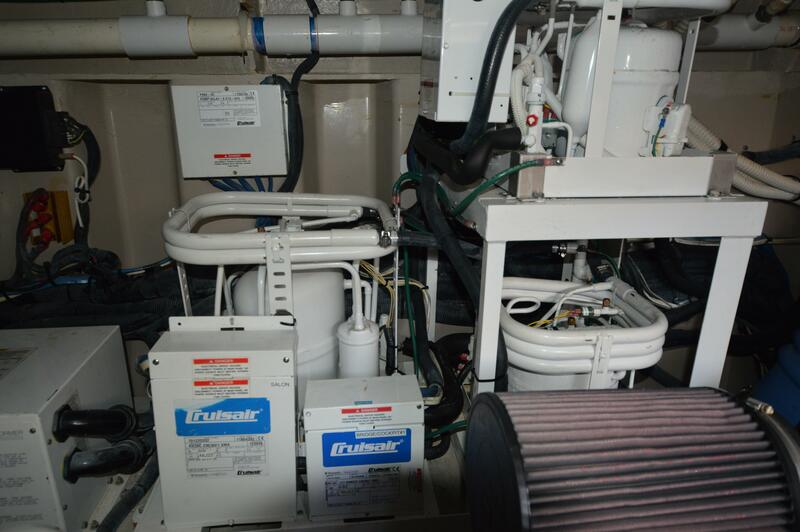 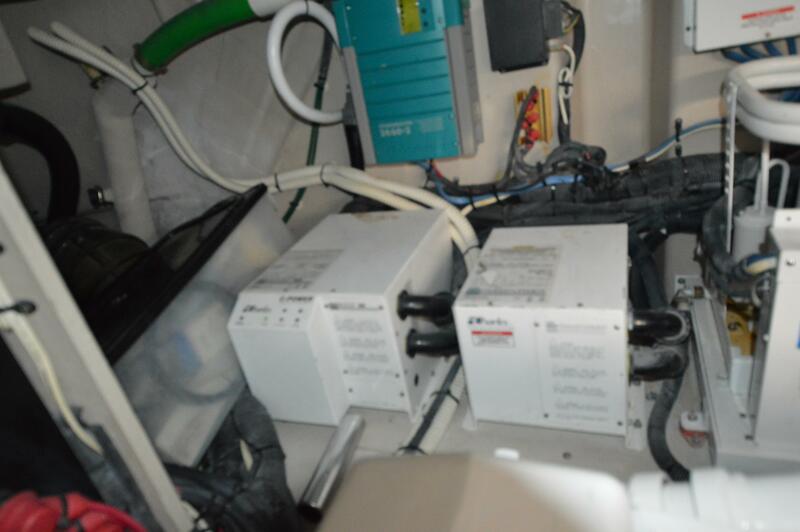 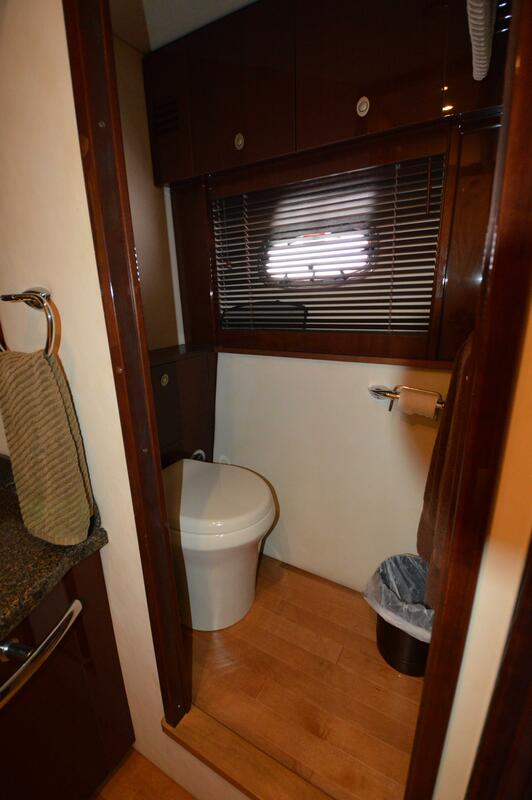 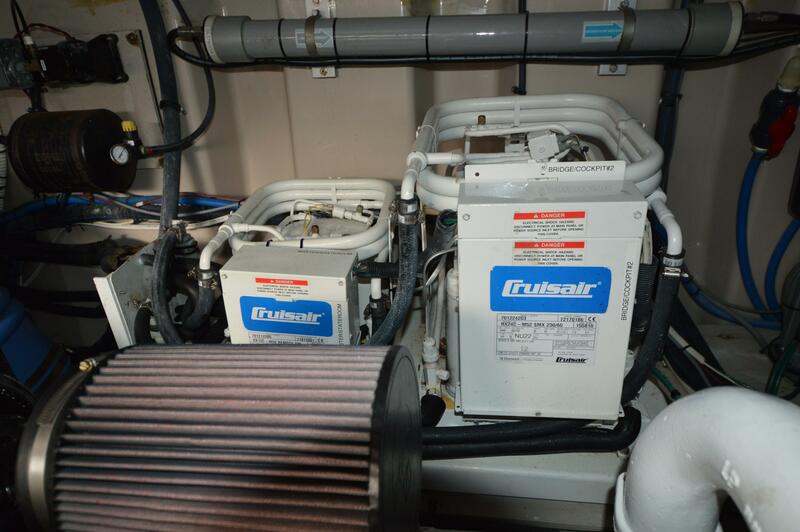 Note the washer/dryer cabinet near the companionway. 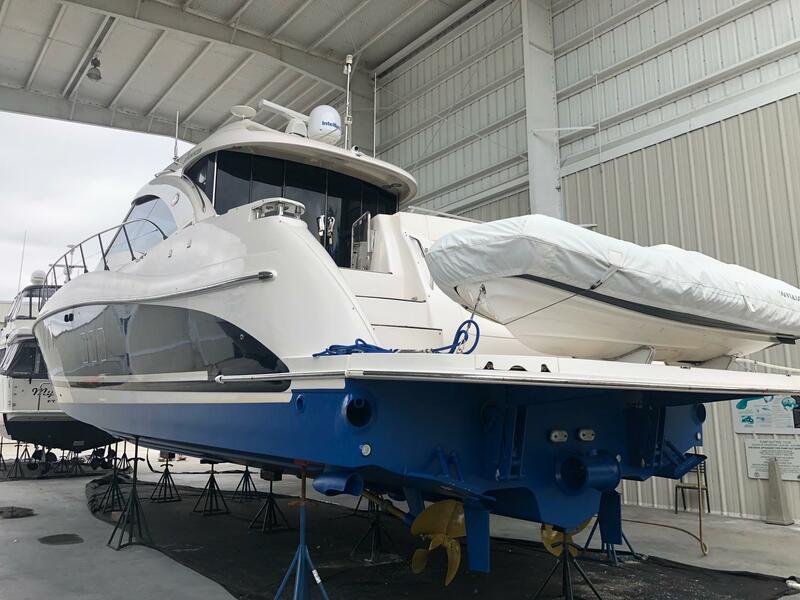 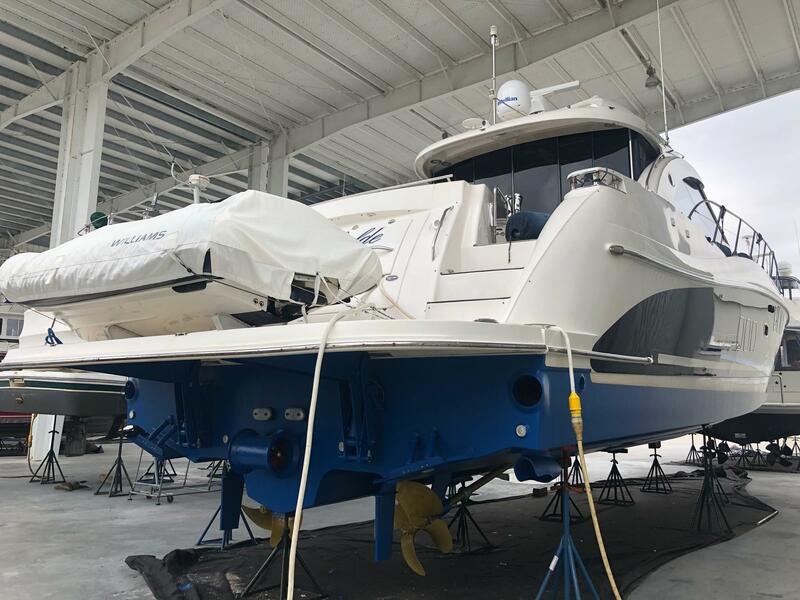 The Sundancer’s hydraulic swim platform can stow a tender or PWC. 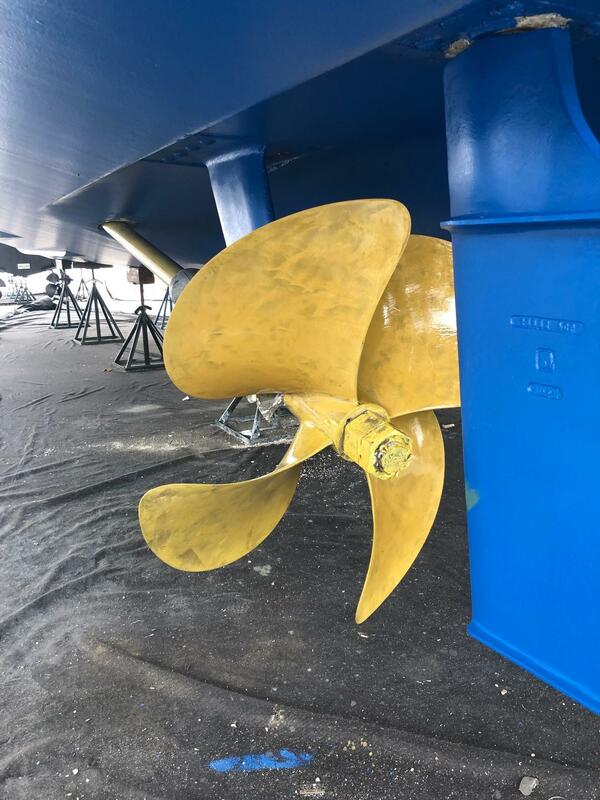 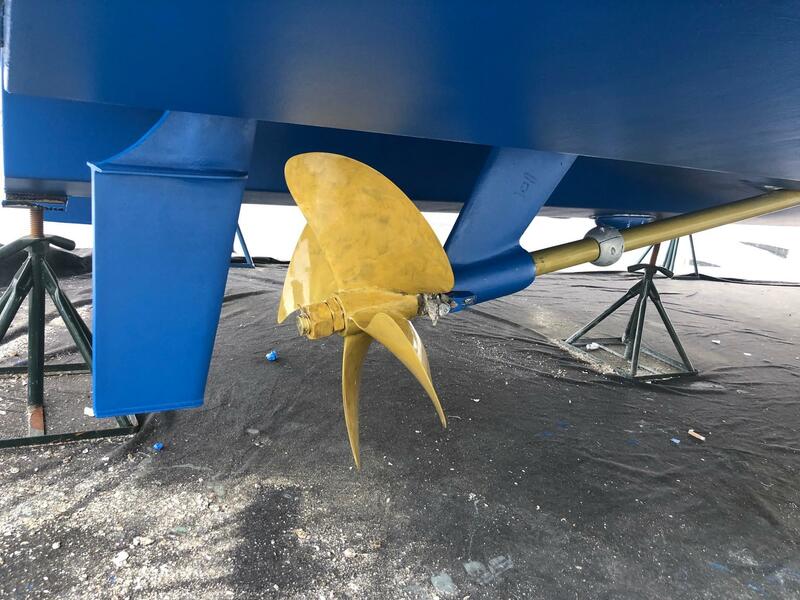 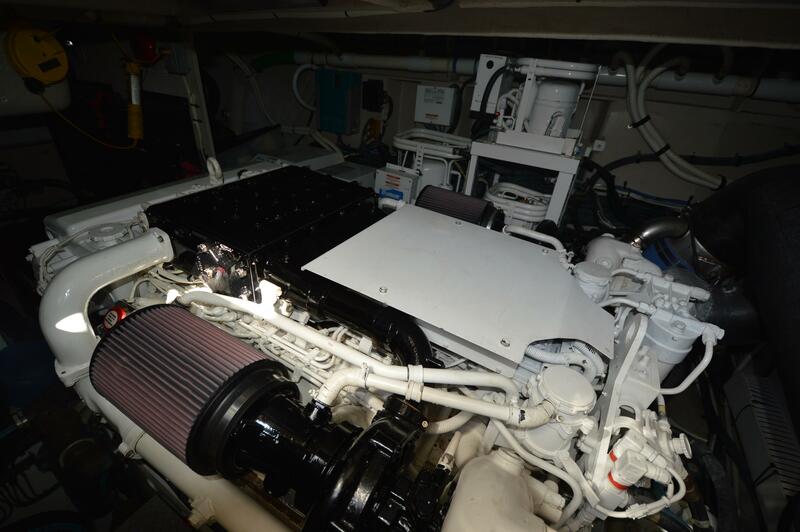 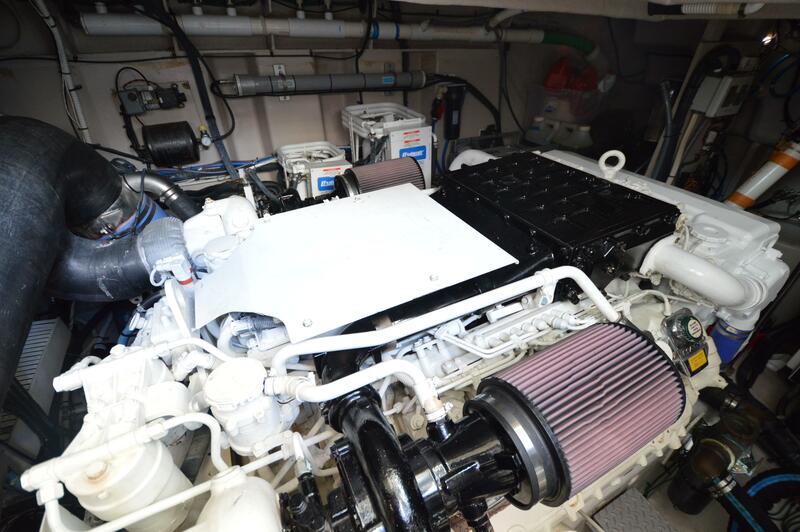 MAN 1100hp V-drive diesels cruise at 26–28 knots (low 30s top).